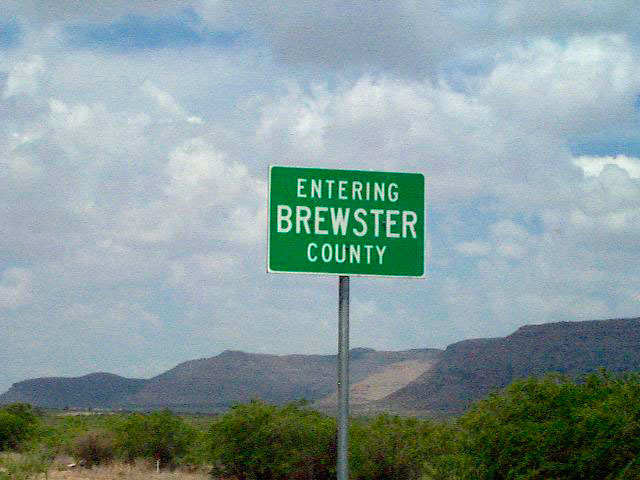 Brewster is the largest of Texas 254 counties consisting of 6,204 square miles. 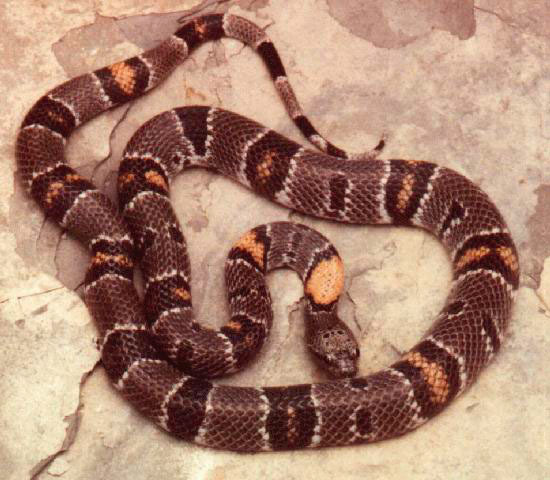 It is a rural county which lies within the upper Rio Grande region of southwest Texas. 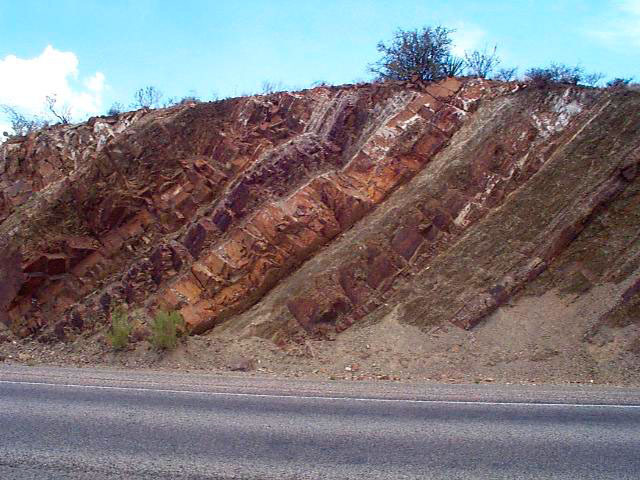 Brewster county offers some of the most diverse geologic history in the state. 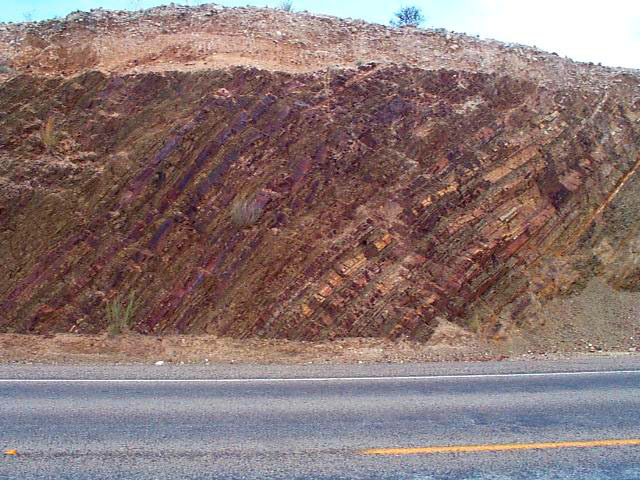 Rock formations include Tertiary volcanics, Quaternary, Cambrian and associated, Precambrian, Paleozoic, and Permian eras. 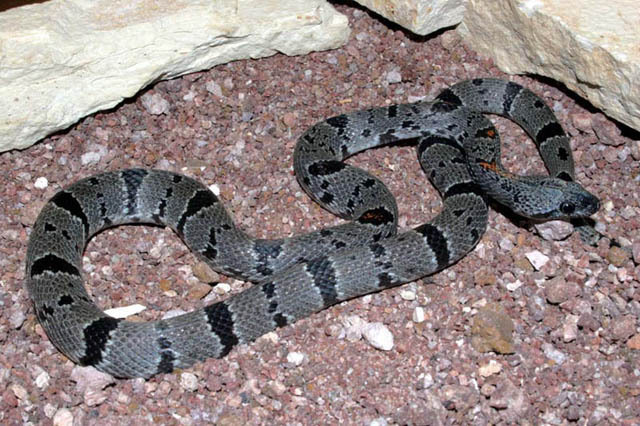 The habitat within Brewster county is equally diverse, from sandy desert flats at Tornillo Creek to lush mountain oasis at Cattail Falls, Big Bend National Park. 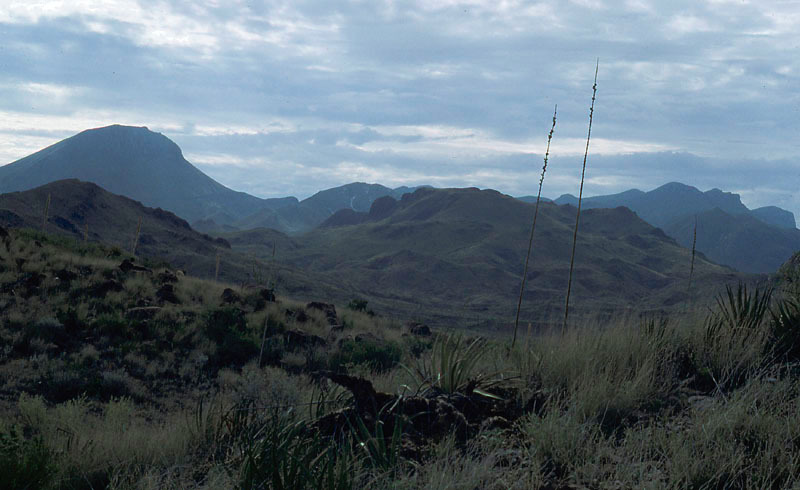 Mountain ranges include the Chisos, Christmas, Chalk, Santiago, Del Norte, Rosillos, Tinaja, Wood Hollow, and the southern edge of the Glass Mountains. 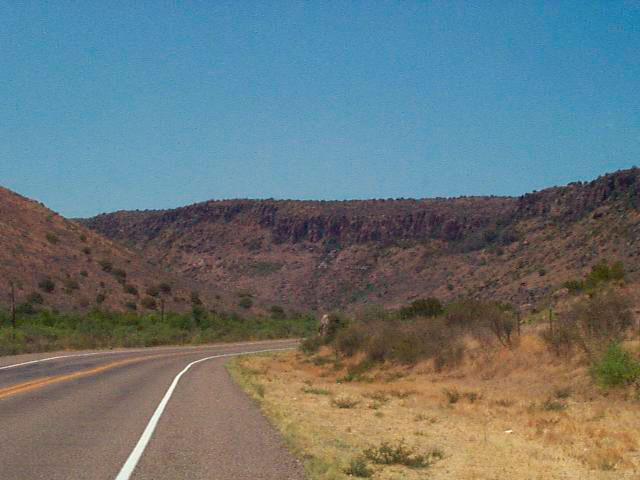 The average growing season in Brewster County is 223 days with the average first freeze occuring around November 8th. 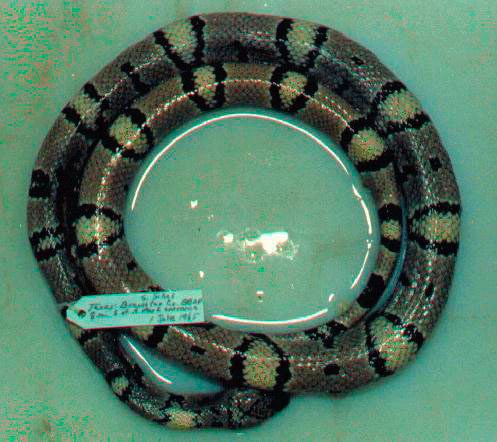 Rainfall averages 31.5 inches yearly compared to a 21 inch statewide average. 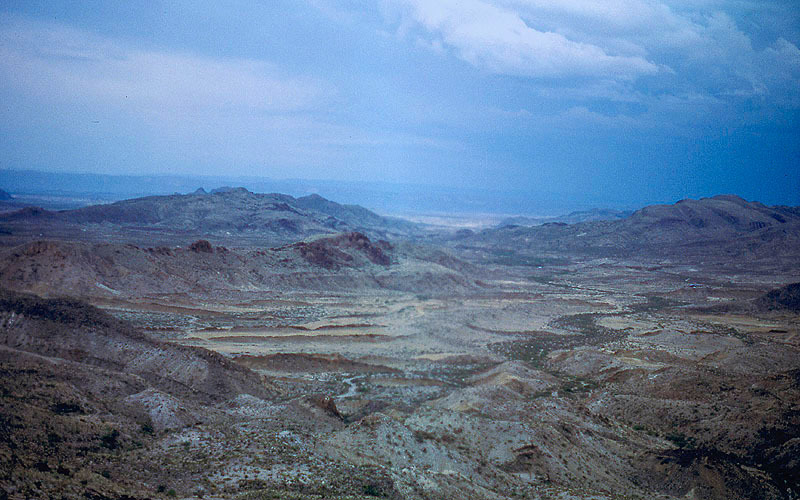 In 1977, Boquillas recorded 4.90" of rain for the whole year. 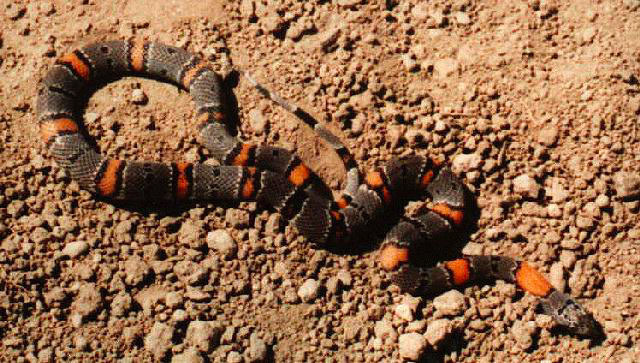 Temperatures in the summer months commly reach over 100 degrees F. in the lower elevations, as evidenced by the national high temperatures commonly recorded in the neighboring Presidio county. Six times since 1950 Boquillas has recored the hottest temperature for the year statewide, reaching up to 115 degrees F.
In terms of population, Brewster is the 191st largest Texas County out of 254. 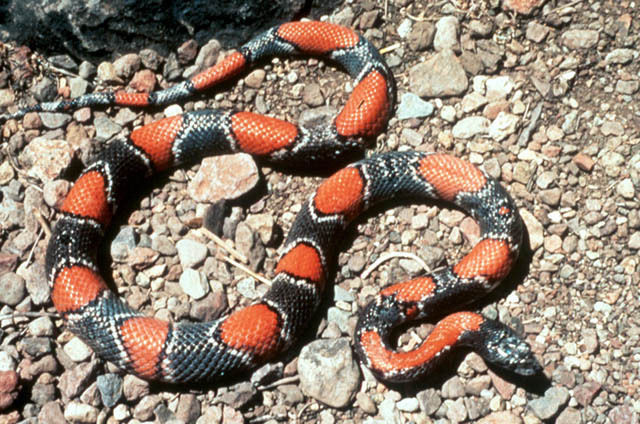 It had a population density of 1.2 residents per square mile in 1990, with an estimated population of 8,952 in 1991. 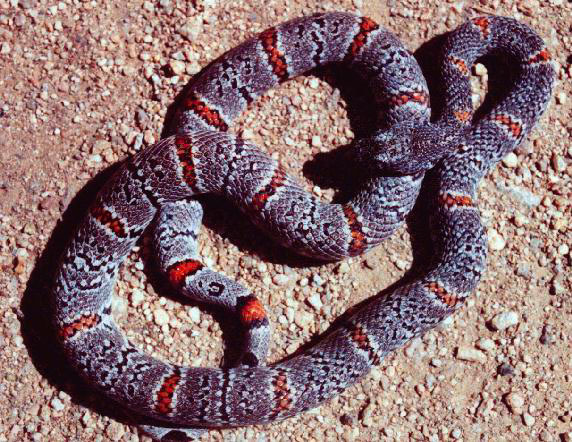 The average population density in Texas is 65.6 persons per square mile. 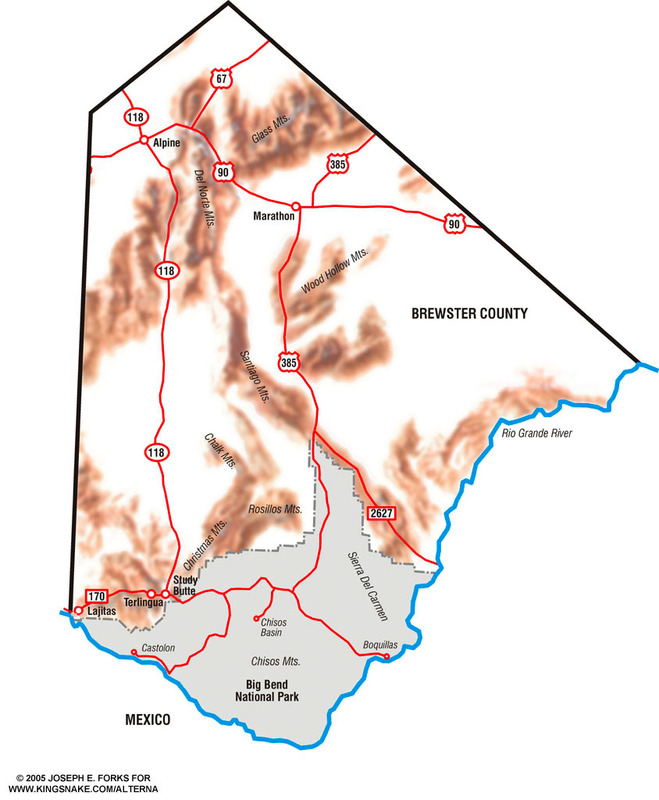 Alpine is the county seat with Marathon being the next most significant city in Brewster County. 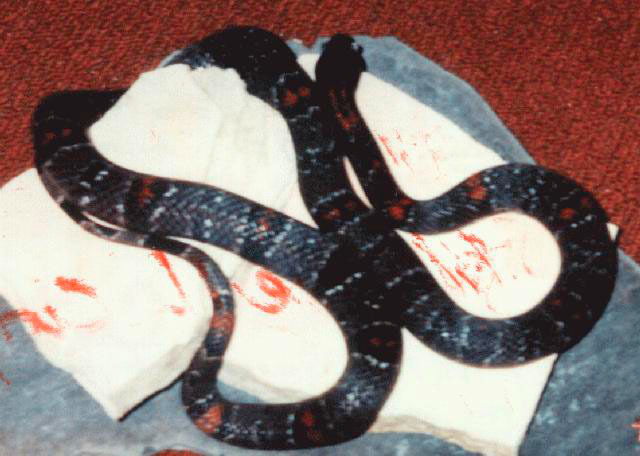 OFF LIMITS!!! 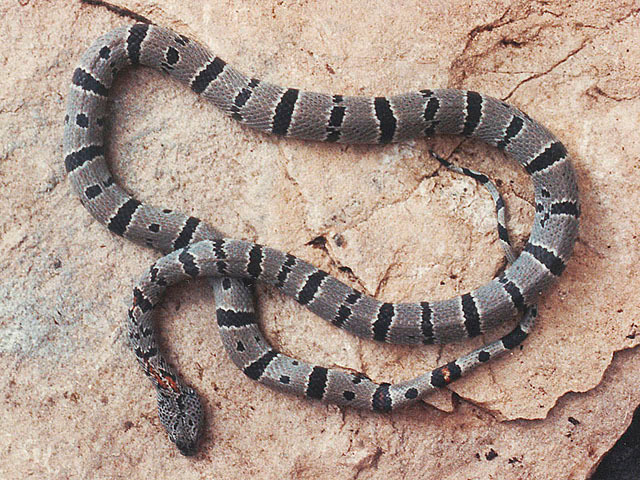 Big Bend National Park comprises a substantial amount of excellent habitat for L. alterna, but it is entirely out of the question for collecting. 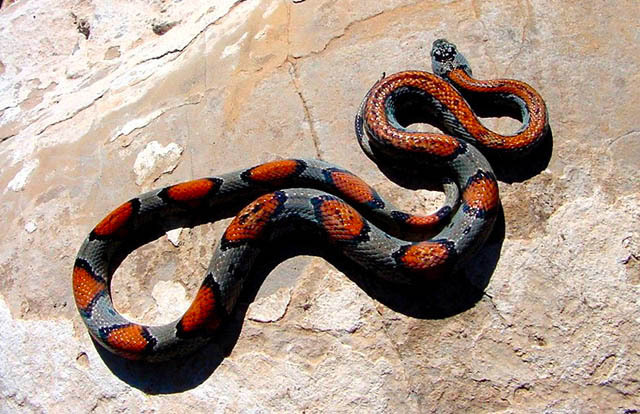 You may only observe animals, rocks and plants, not collect them. 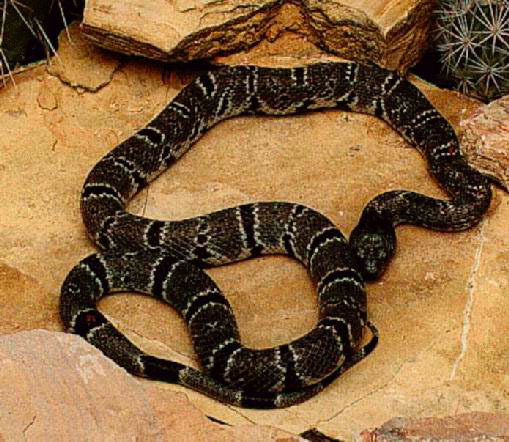 It should be noted that this web page, its authors and contributors do not condone, support, recommend or assist anyone in collecting from our national or state parks, nor do we the same for breaking any game law, or any law period. 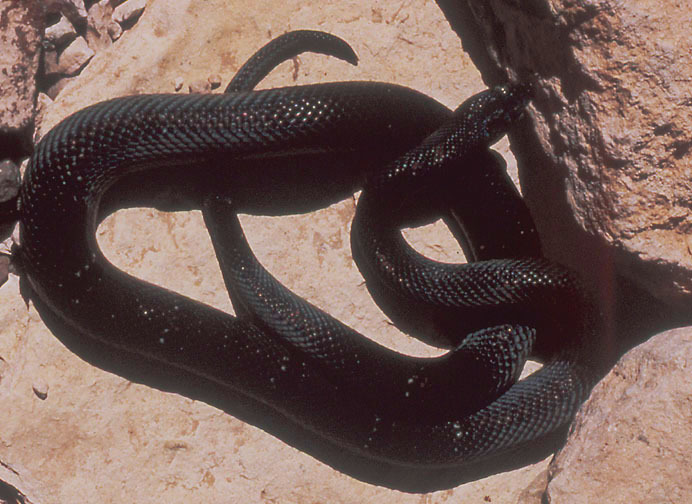 Please read this paragraph again to make certain you understand it. 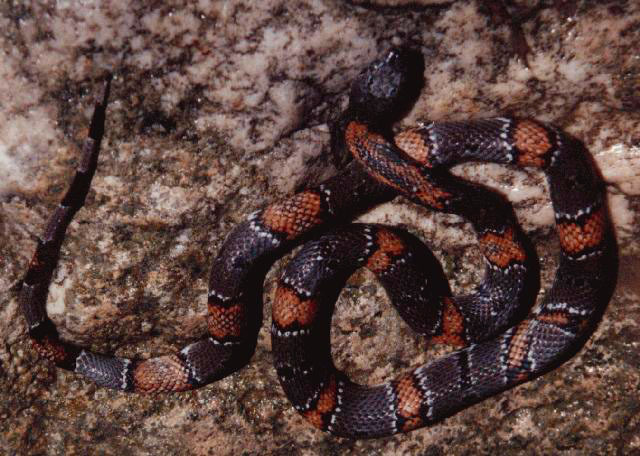 Suitable habitat for collecting L. alterna can be found in any direction from the town of Alpine. 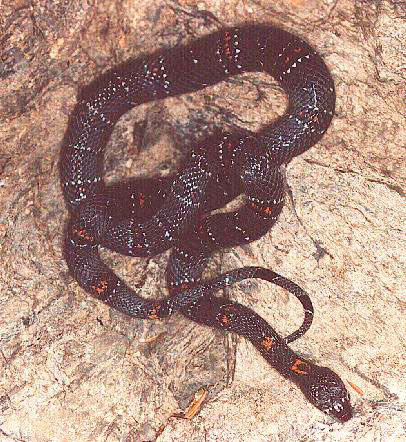 17 miles east of Alpine near Lemons gap on US 90, the road cuts have produced a single specimen. 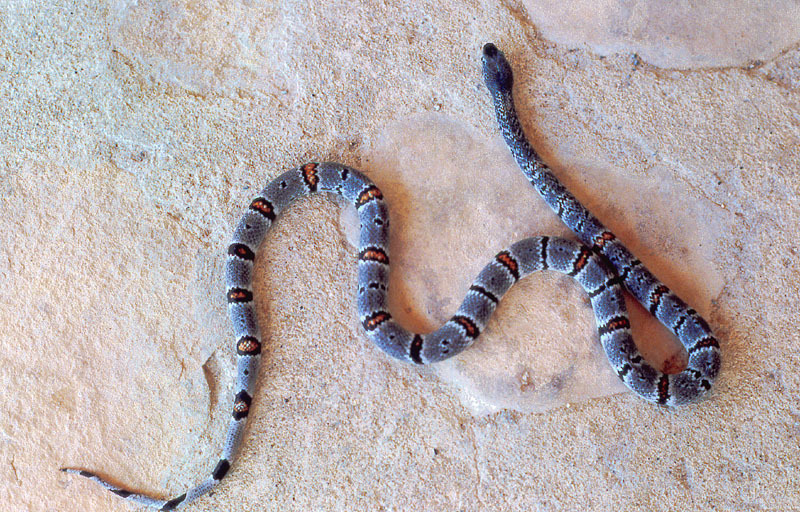 To the north alterna can be found just out of Brewster County in Musquiz canyon on highway 118. 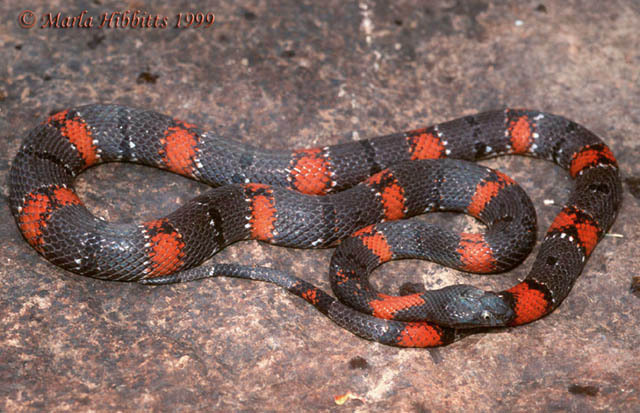 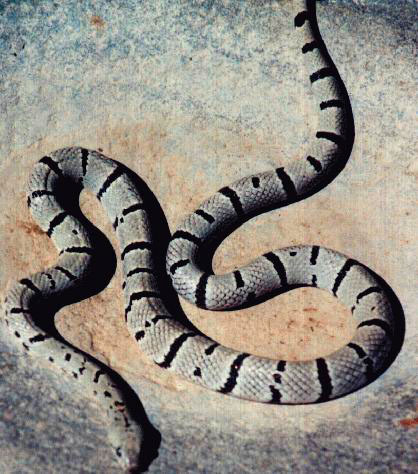 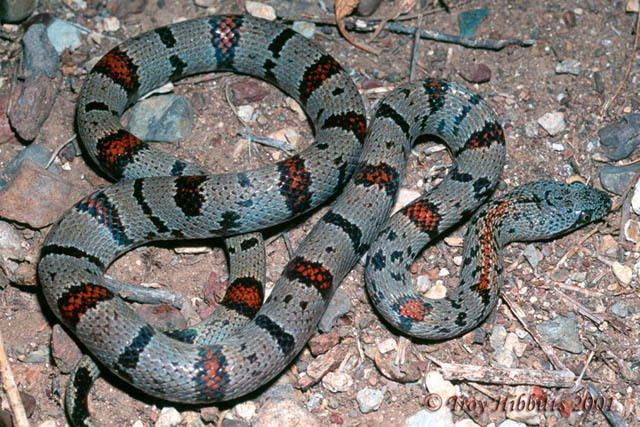 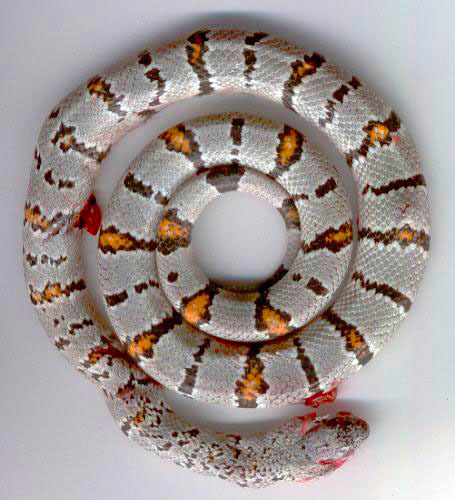 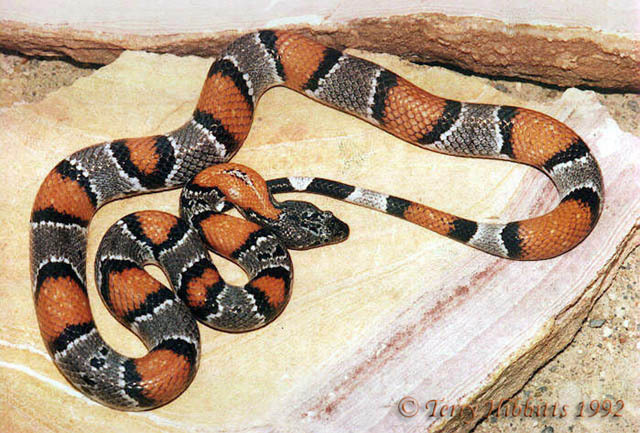 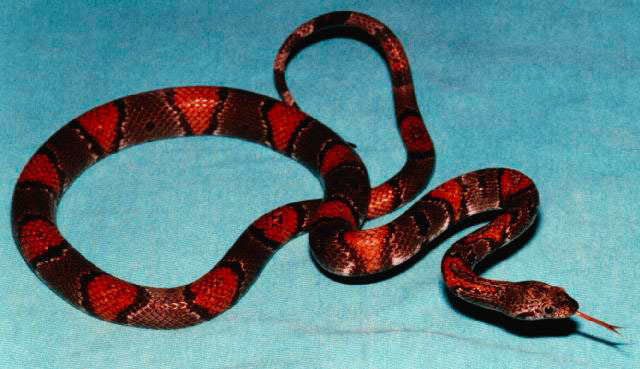 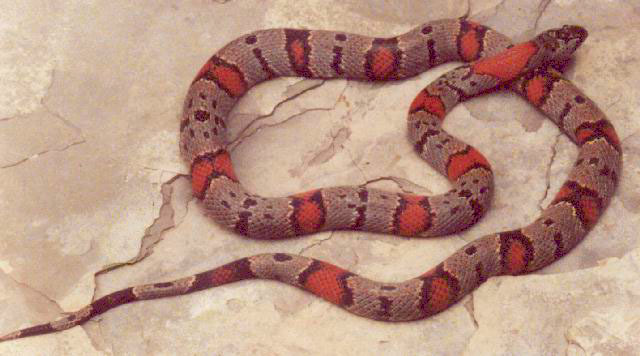 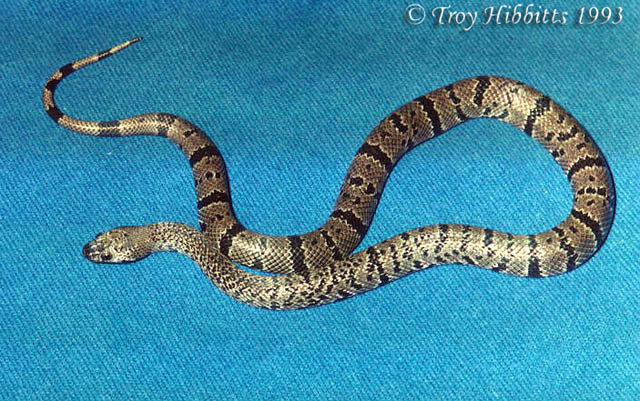 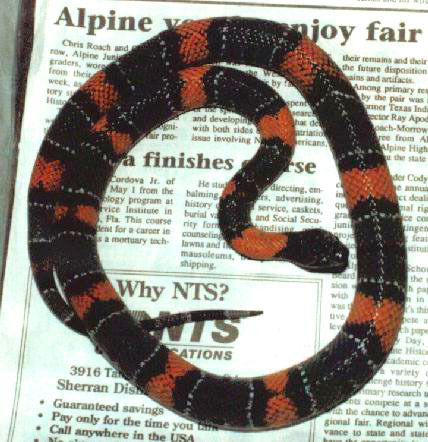 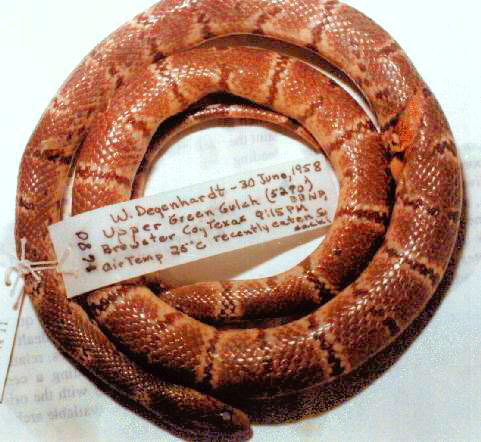 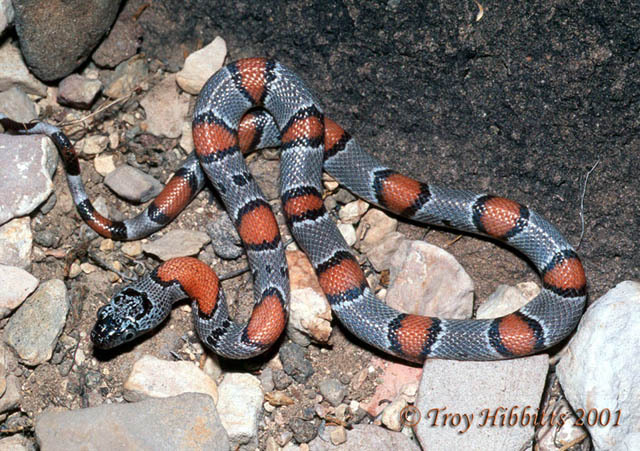 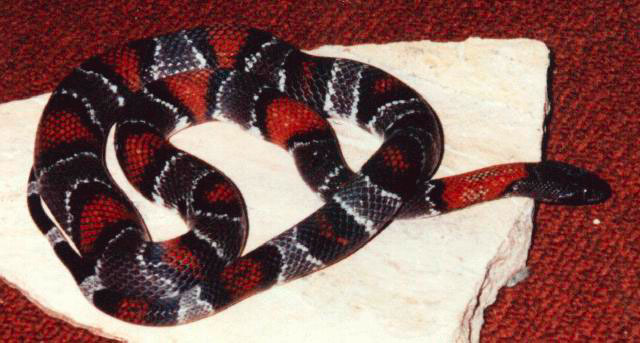 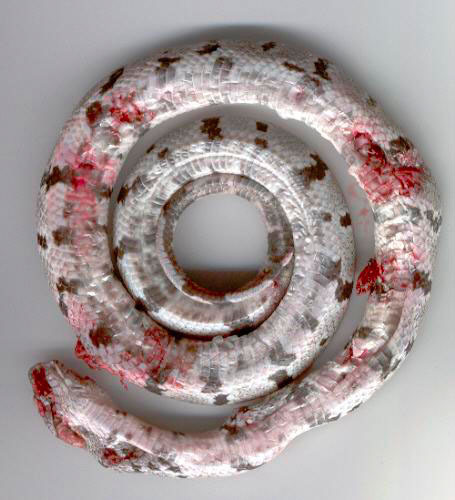 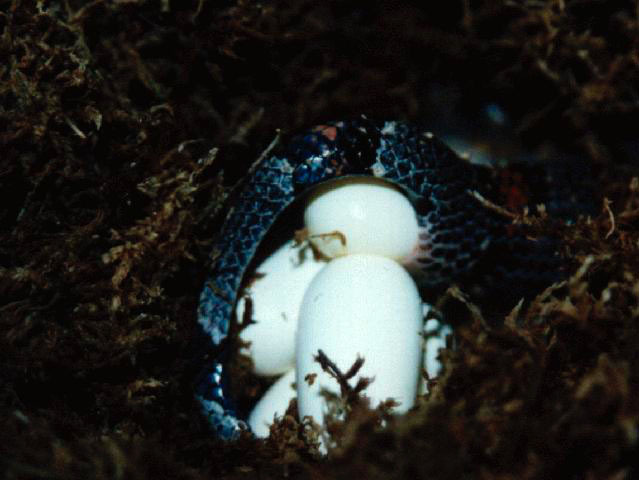 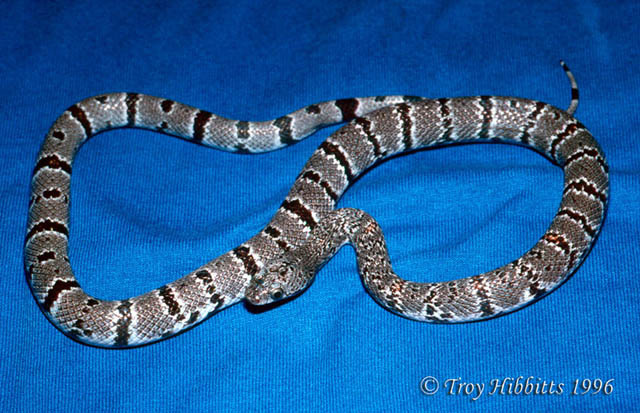 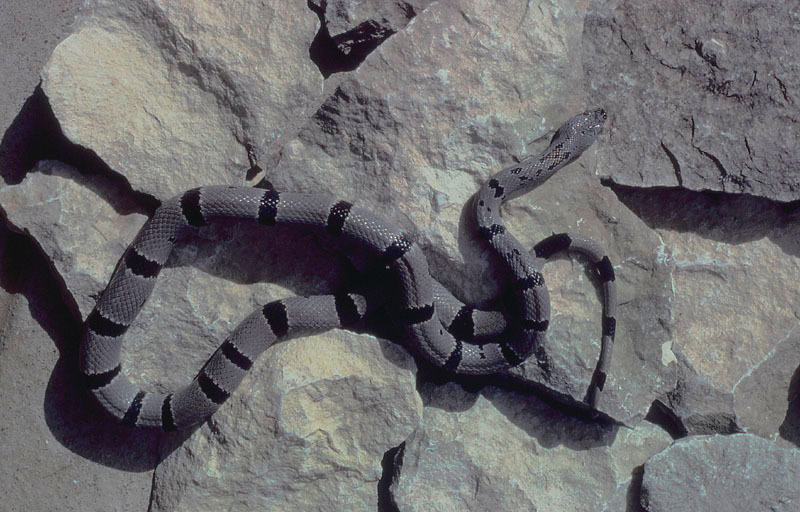 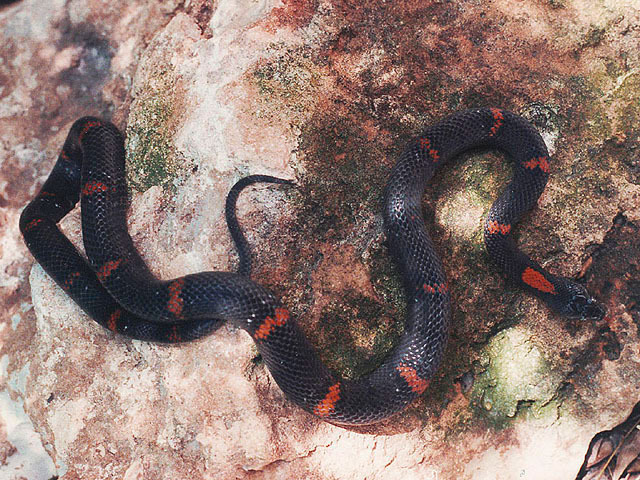 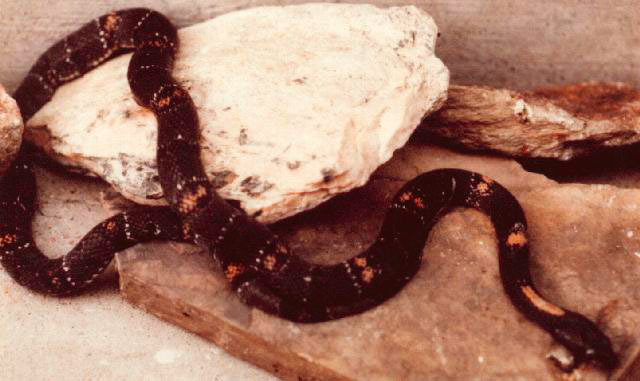 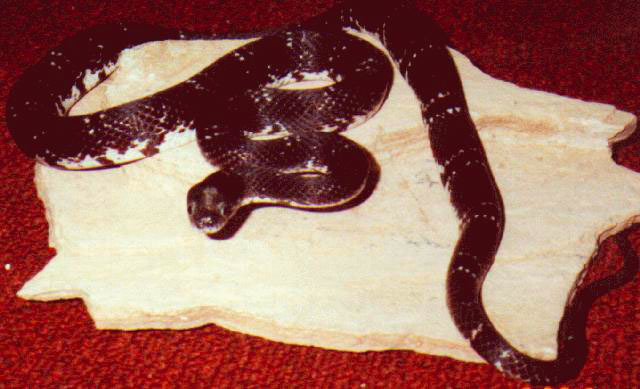 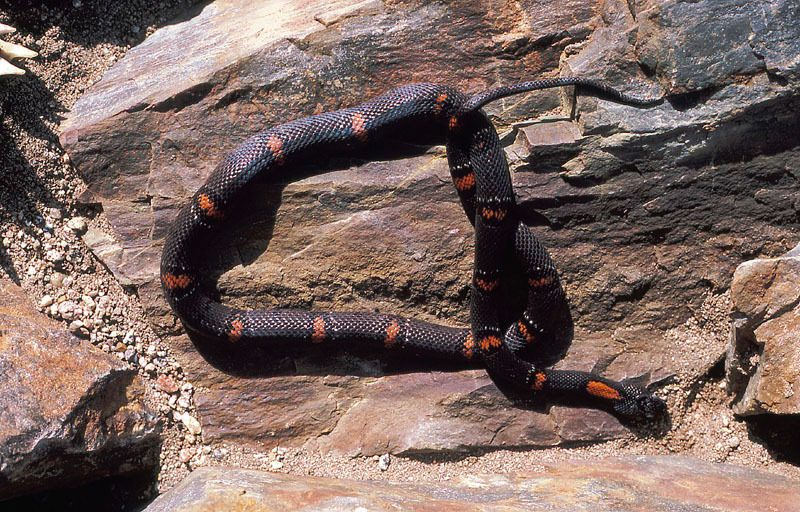 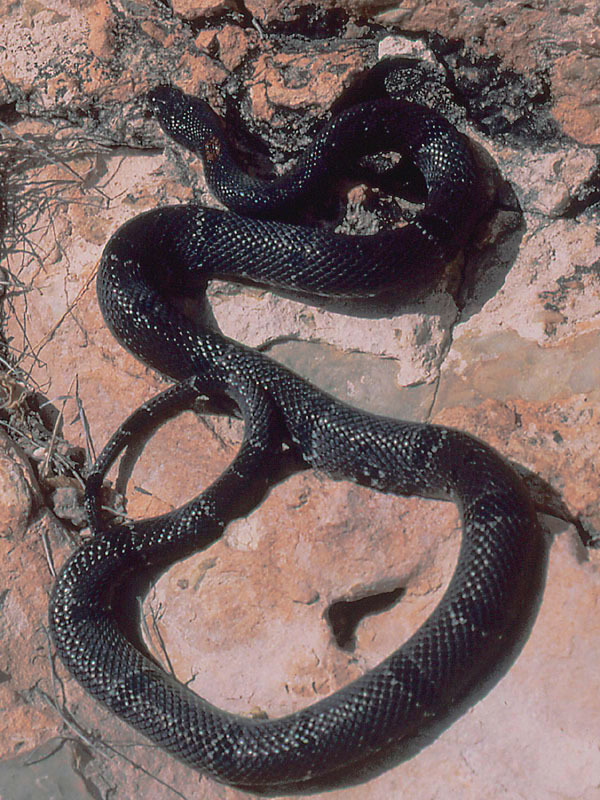 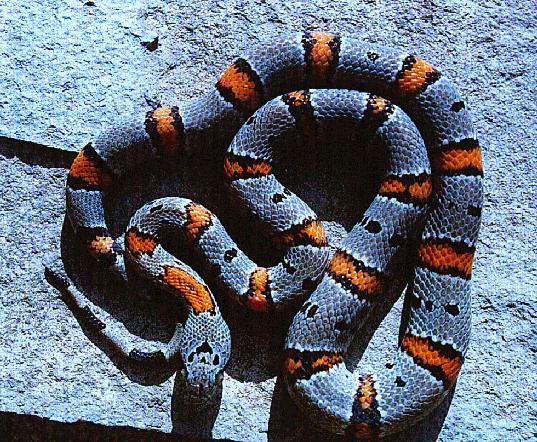 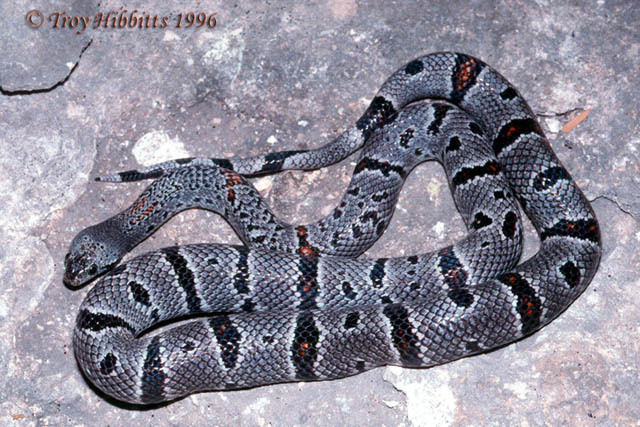 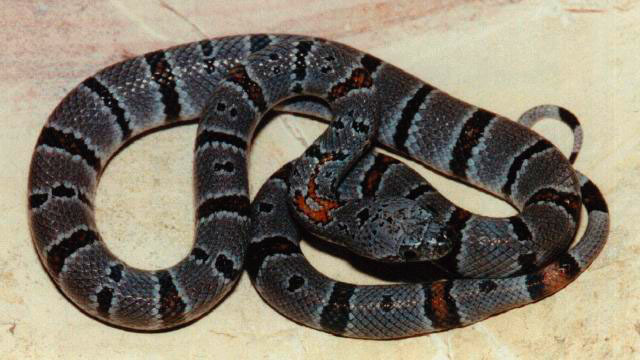 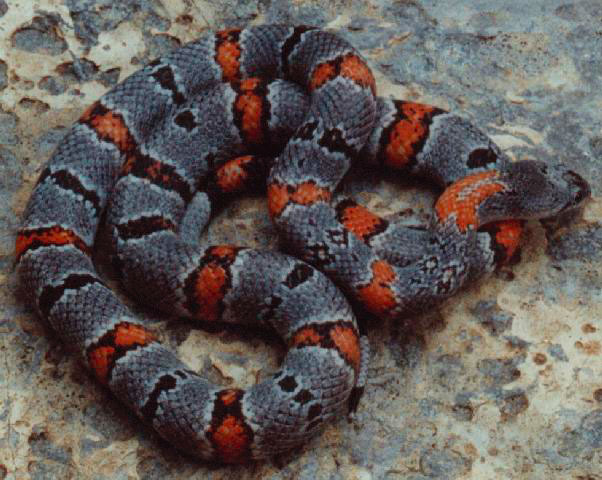 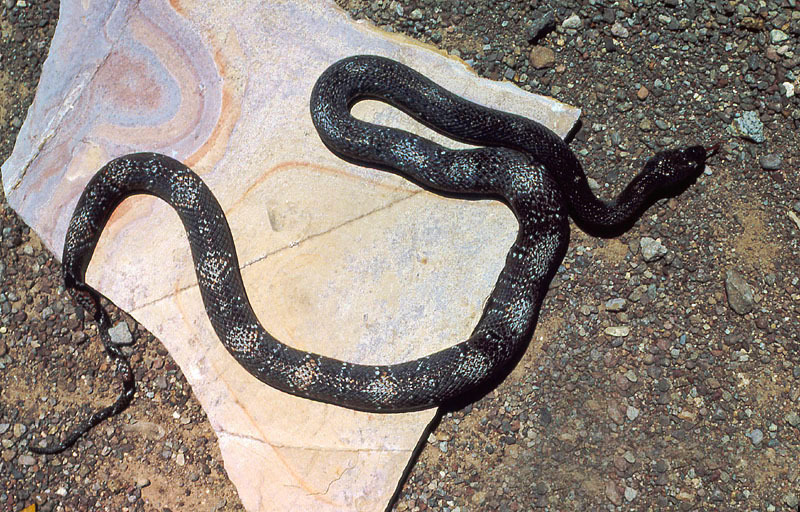 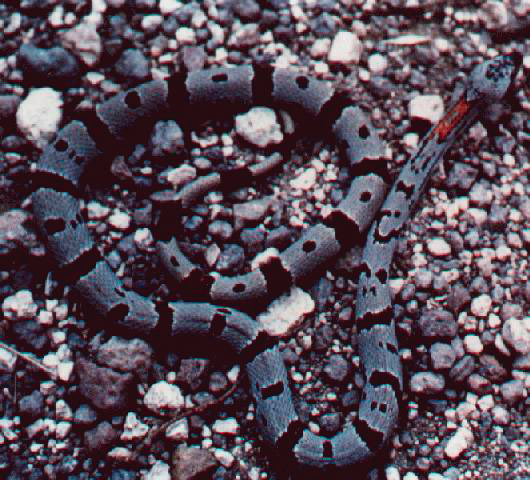 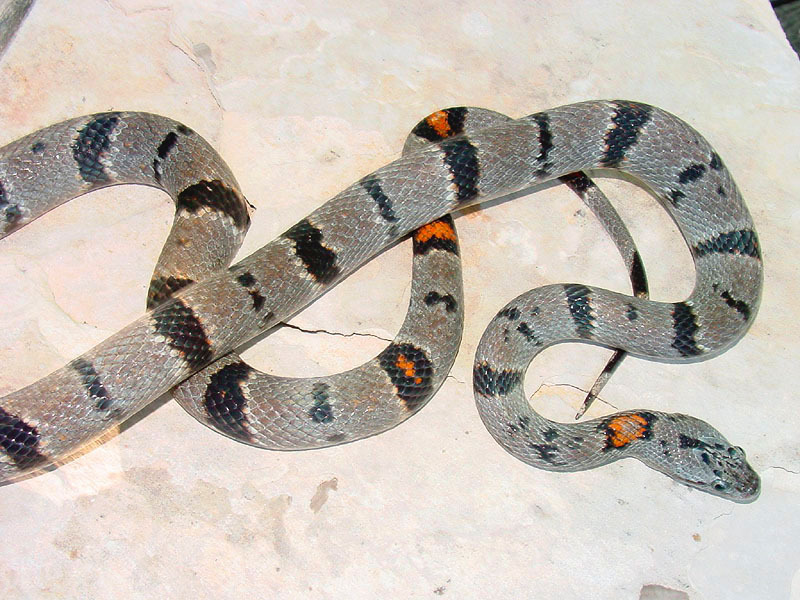 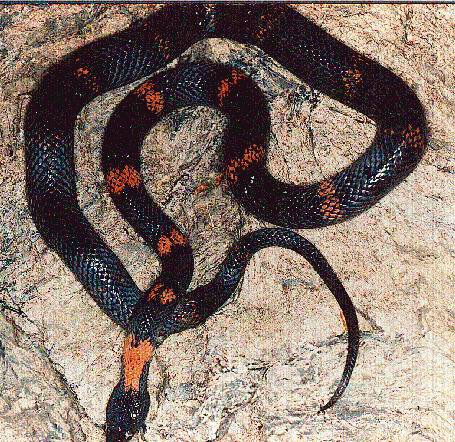 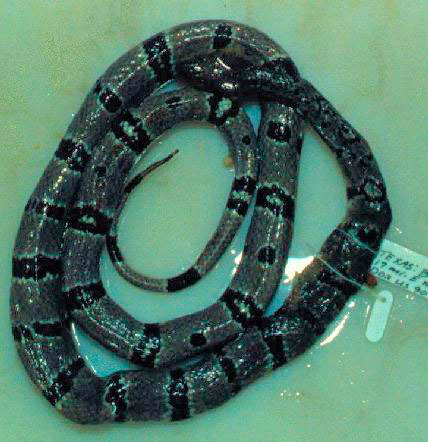 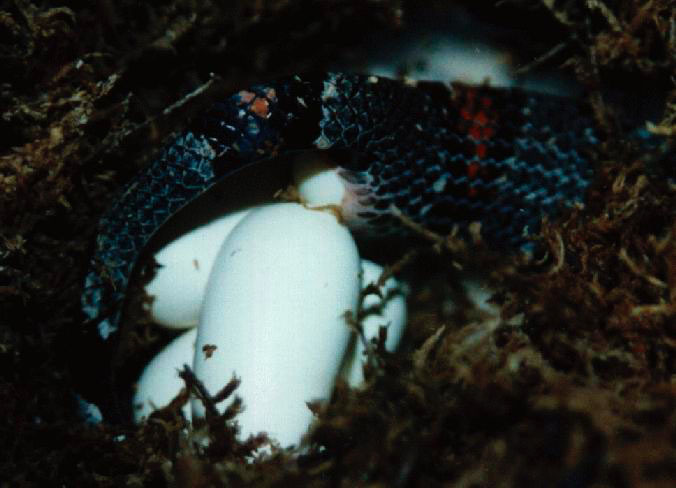 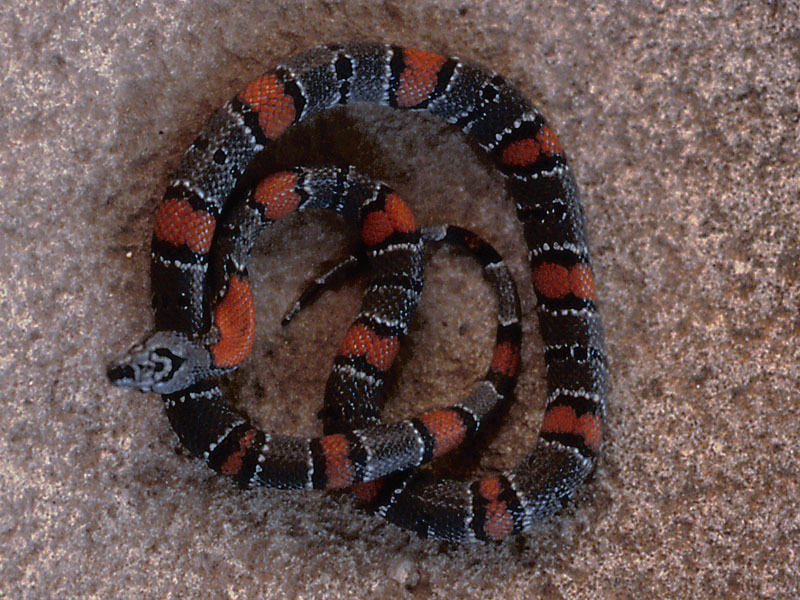 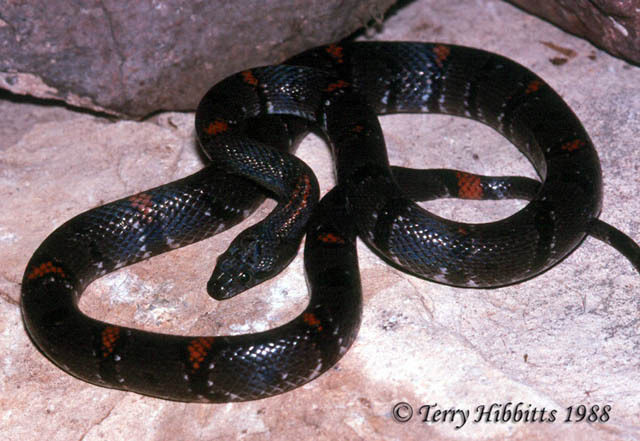 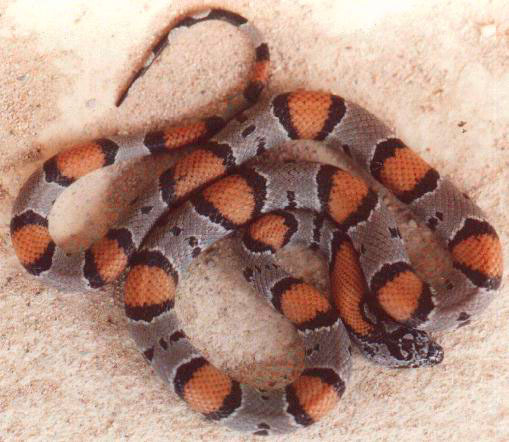 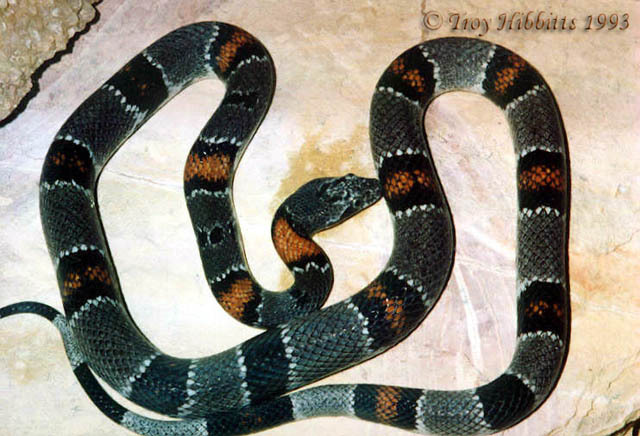 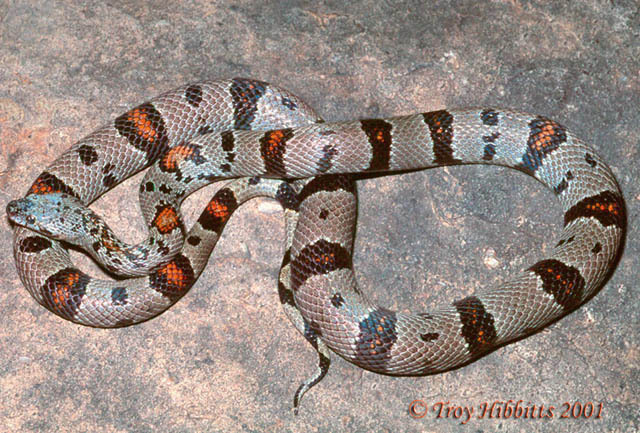 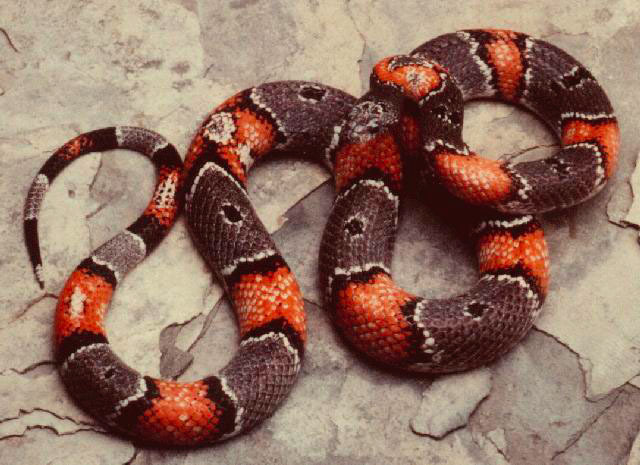 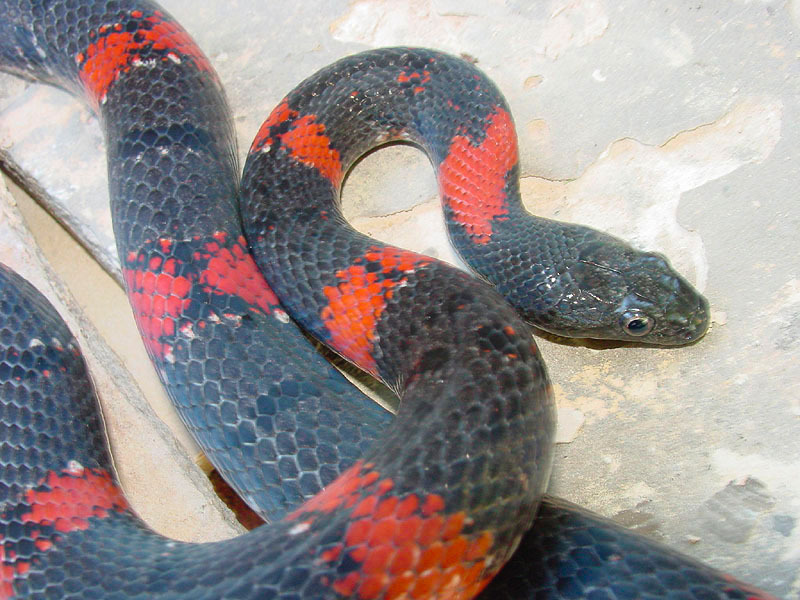 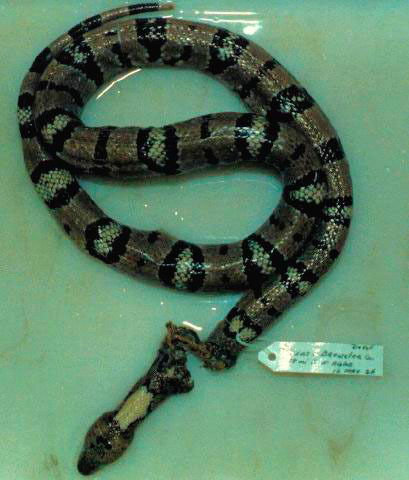 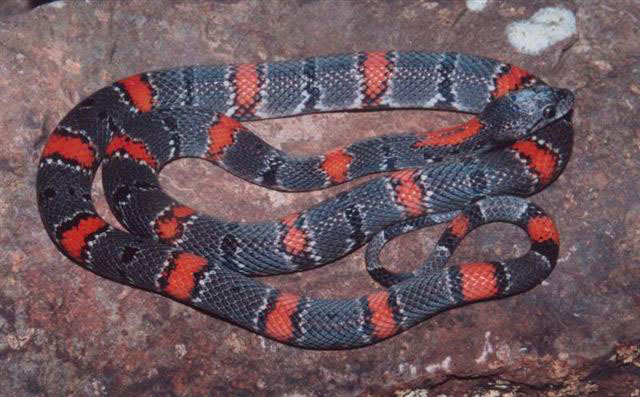 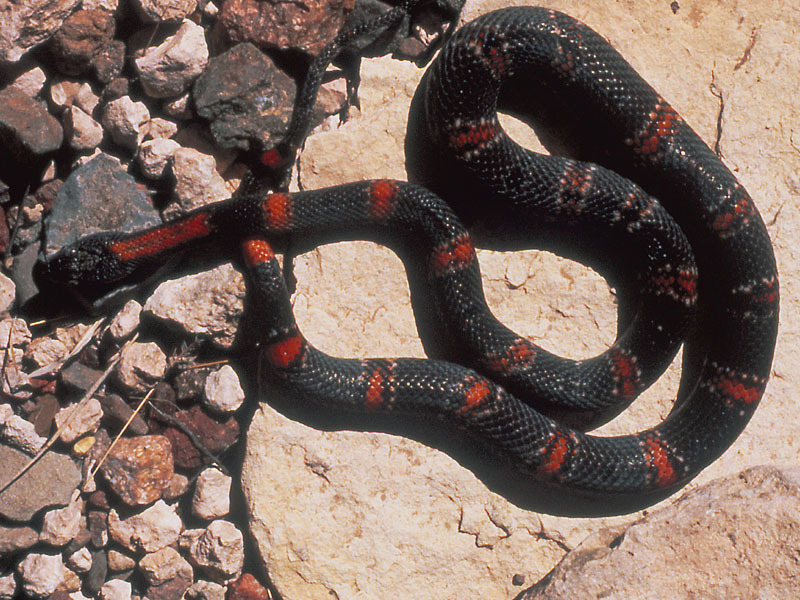 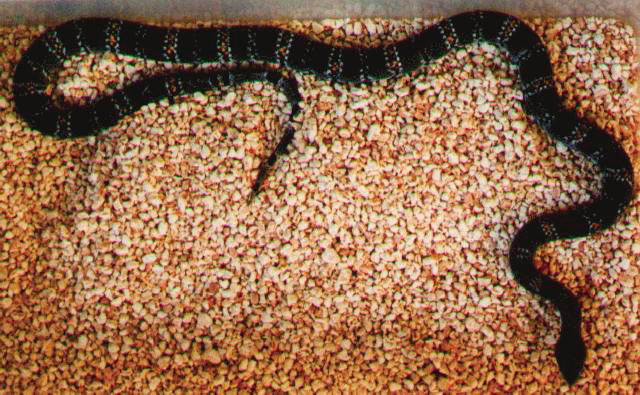 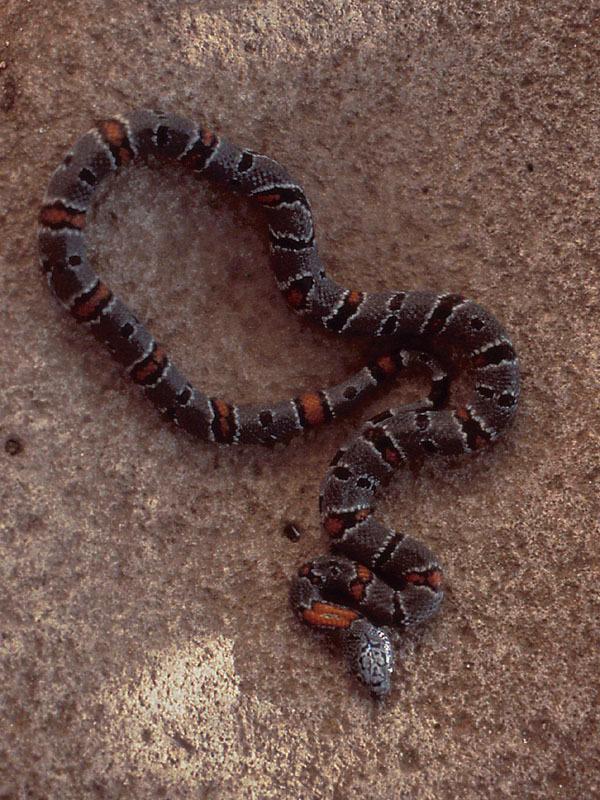 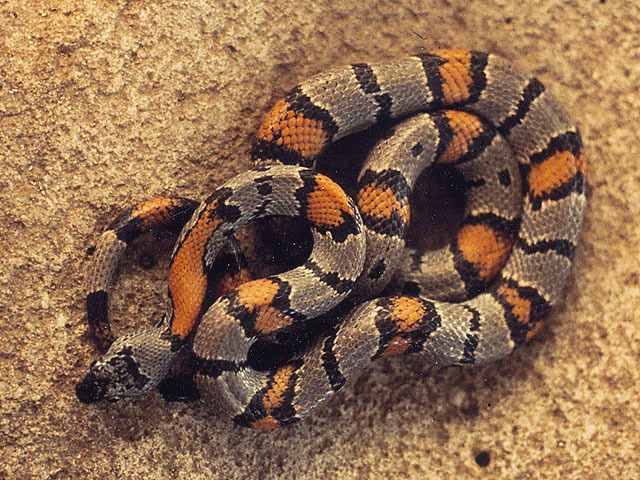 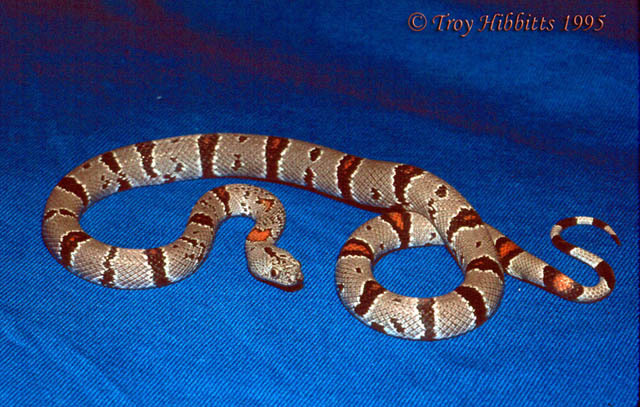 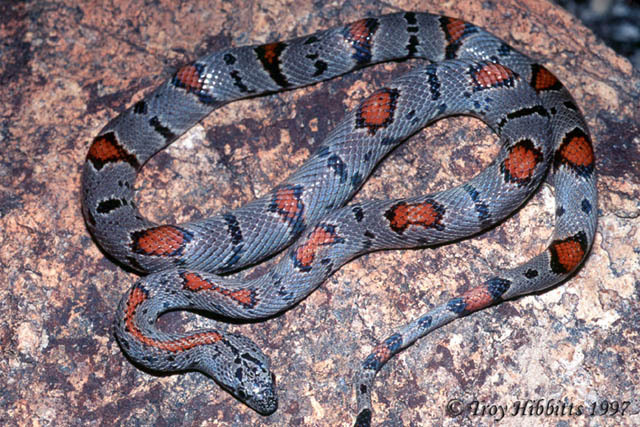 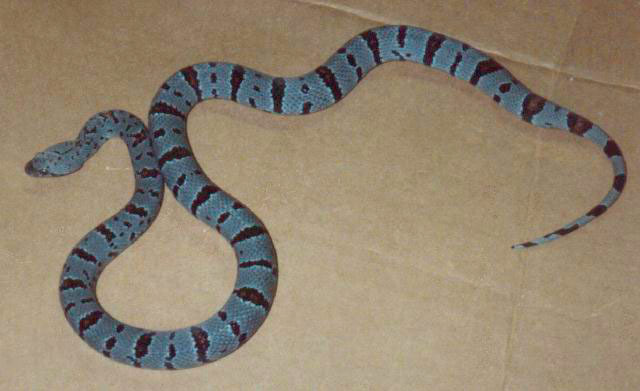 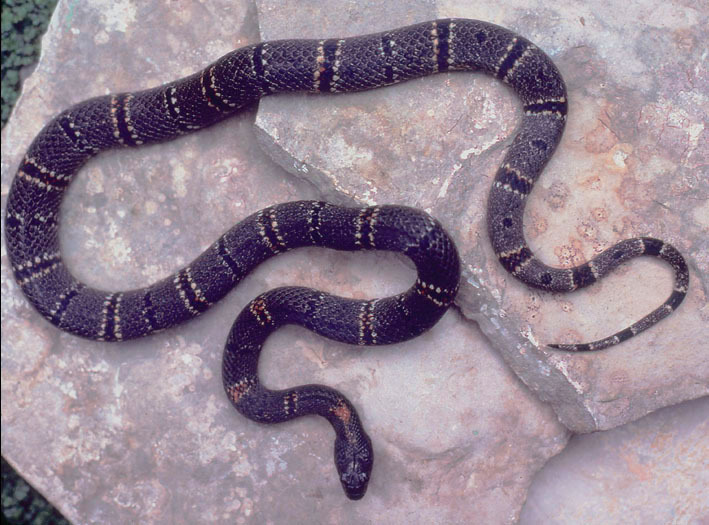 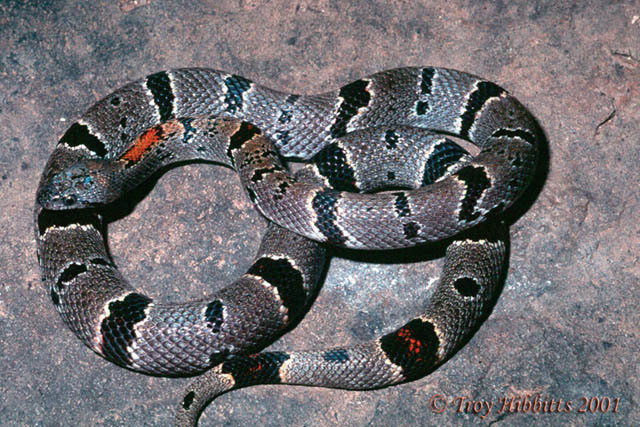 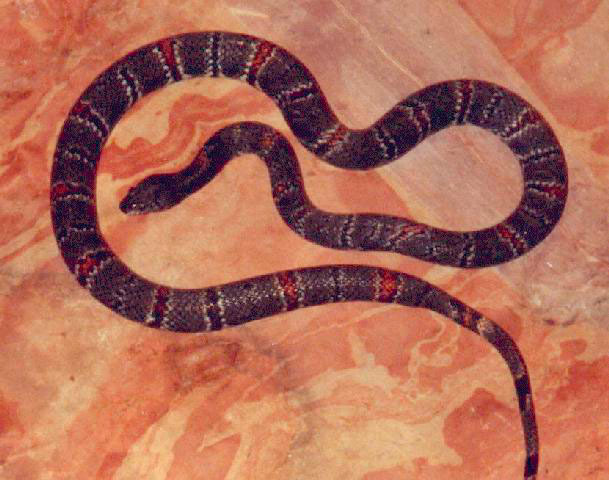 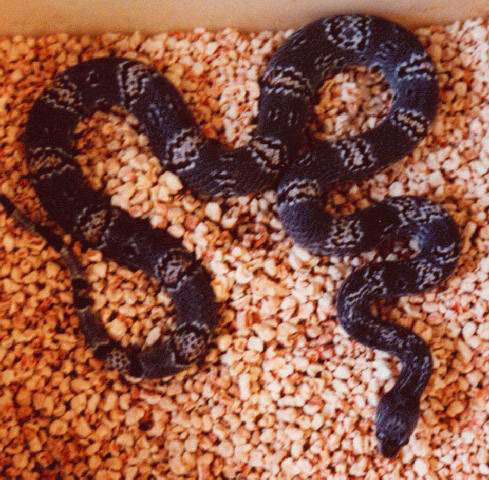 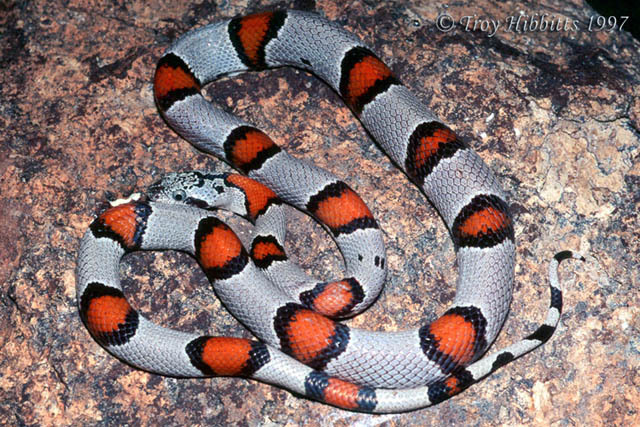 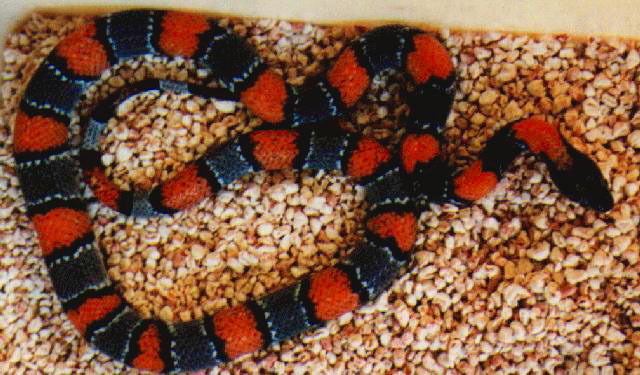 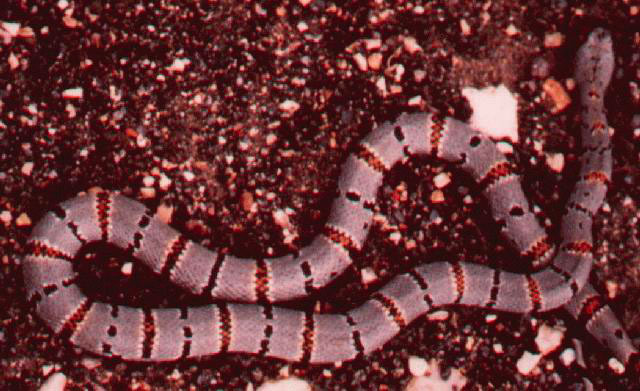 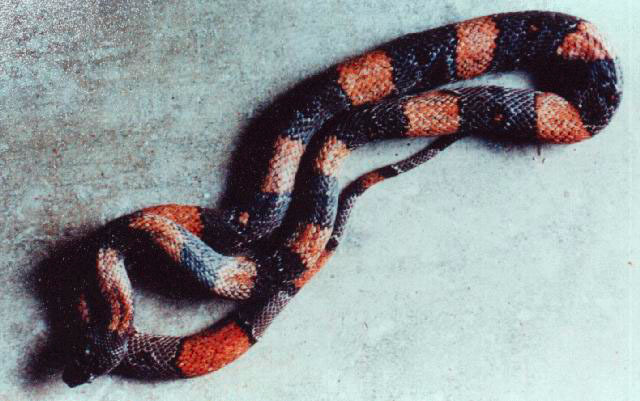 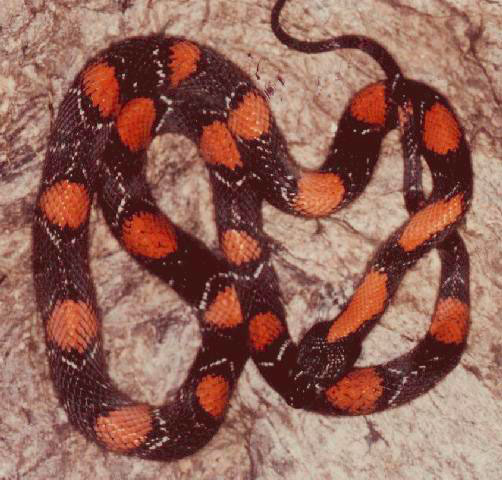 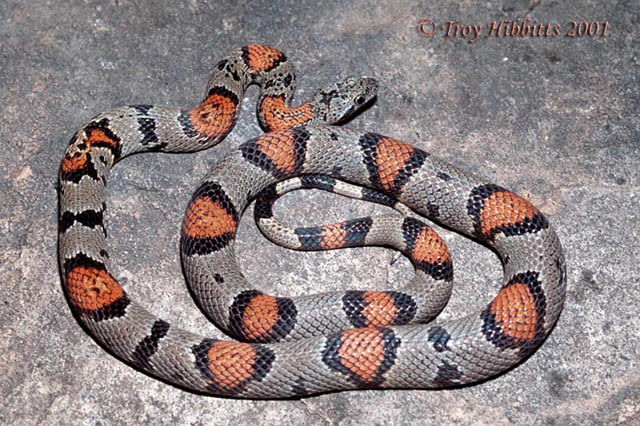 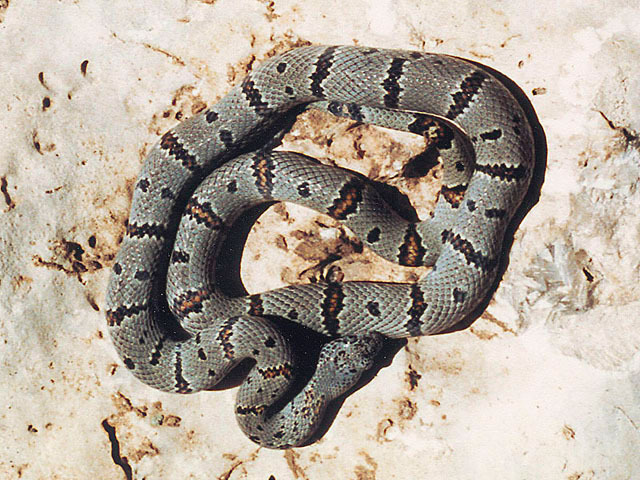 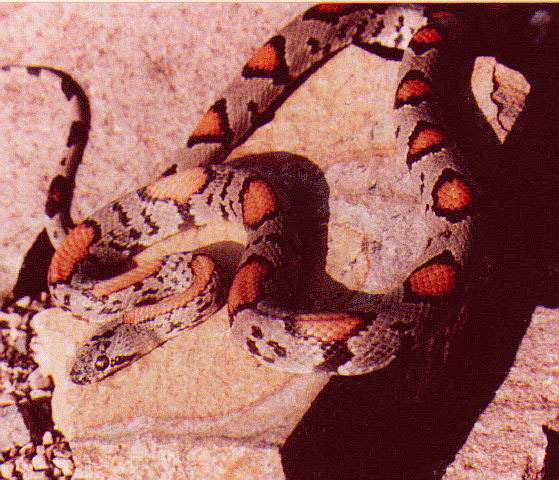 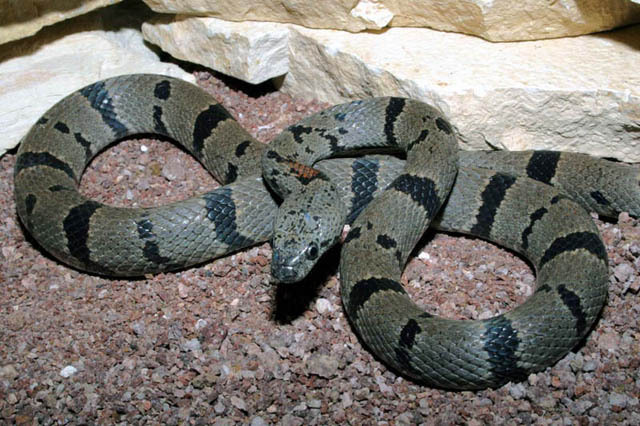 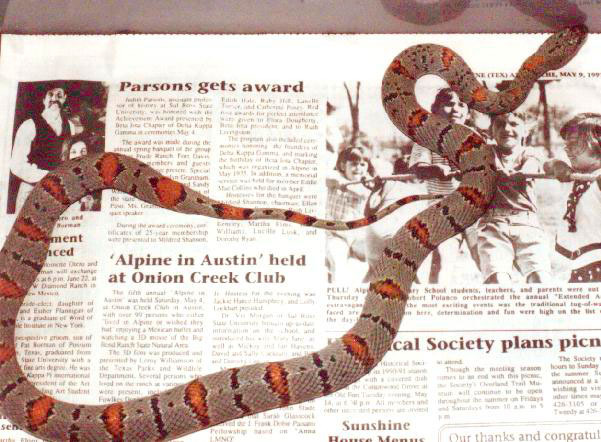 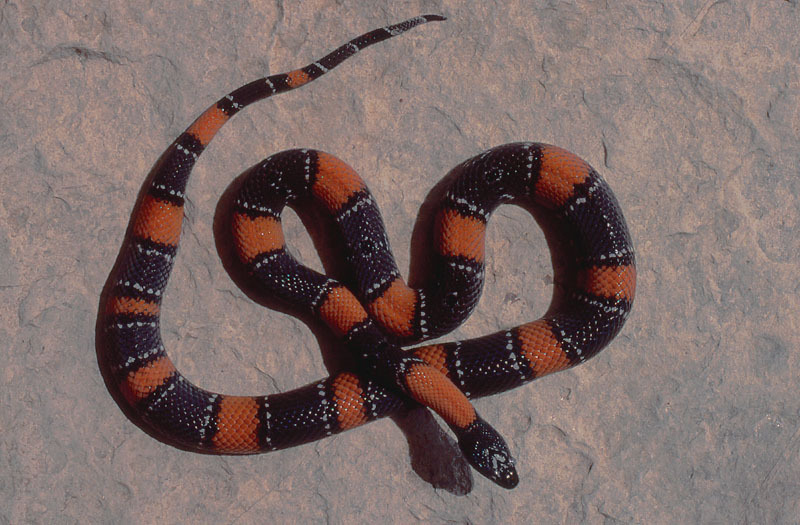 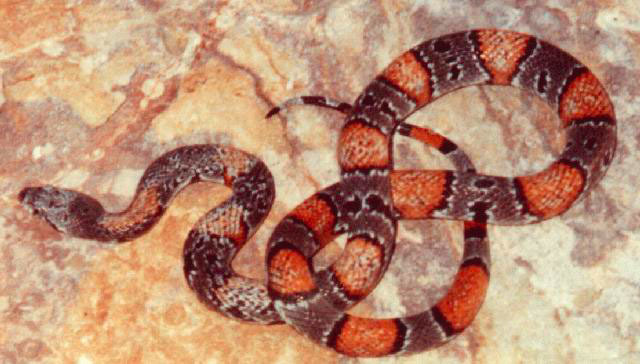 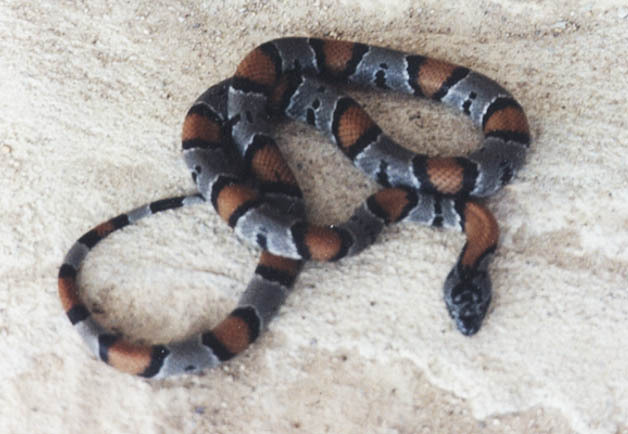 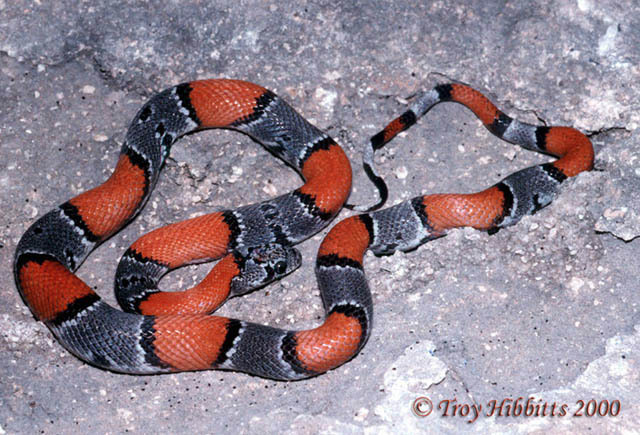 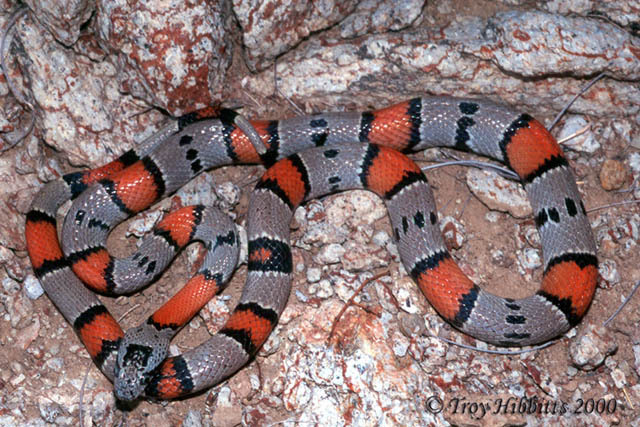 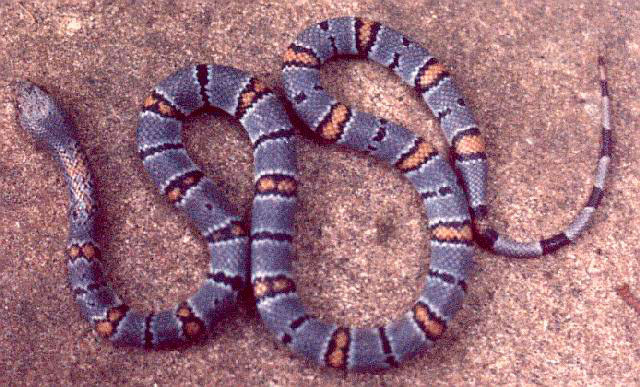 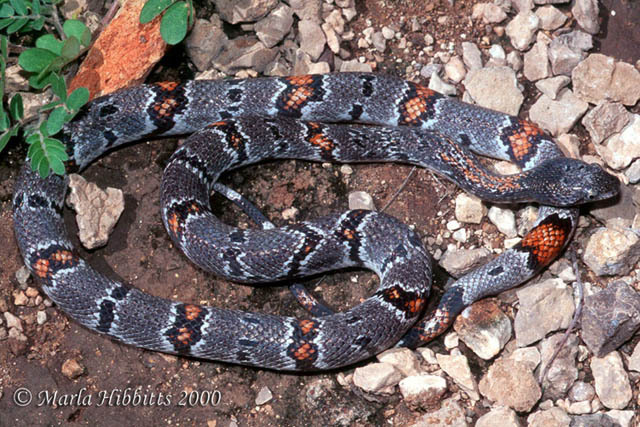 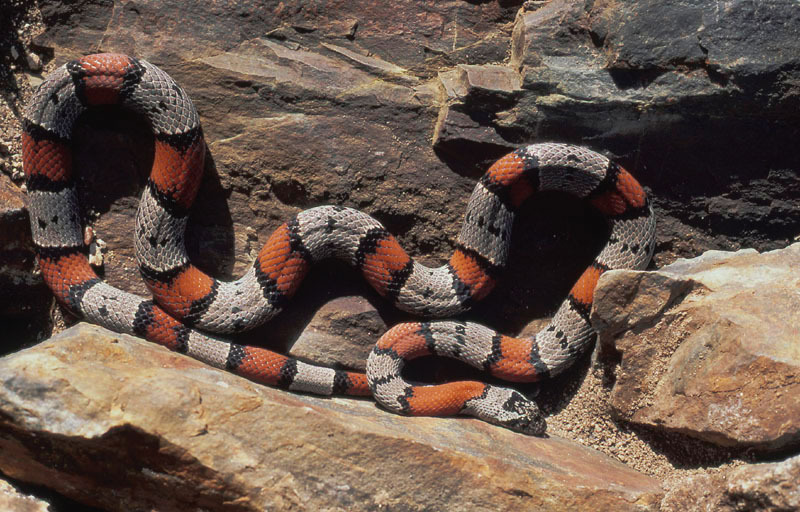 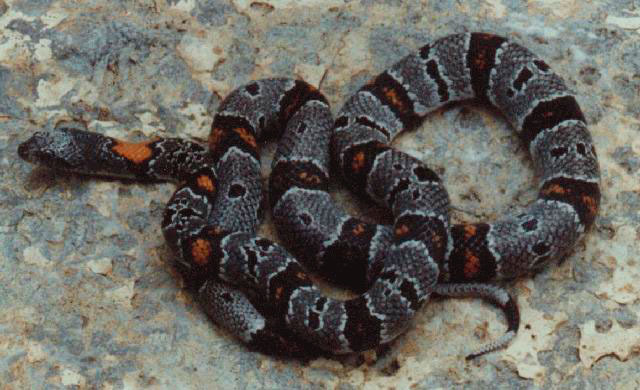 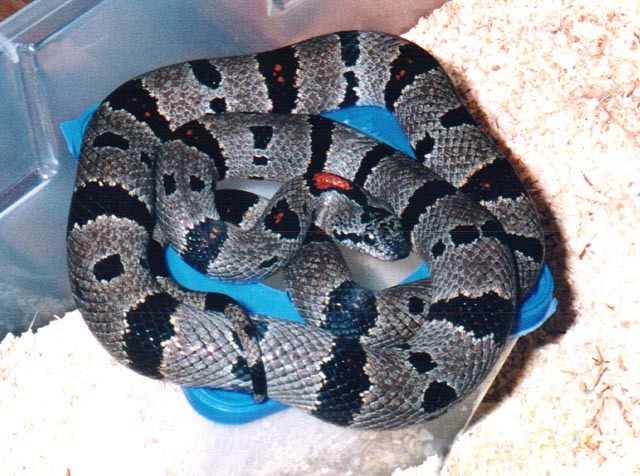 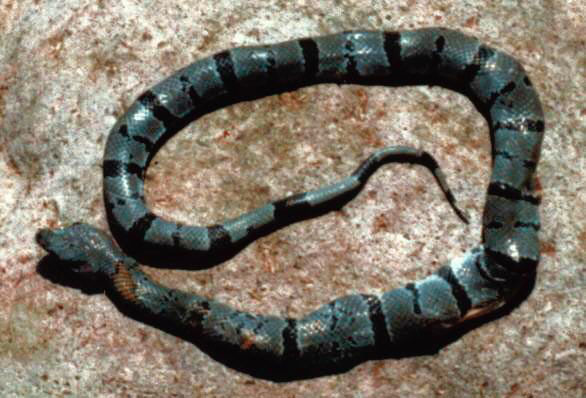 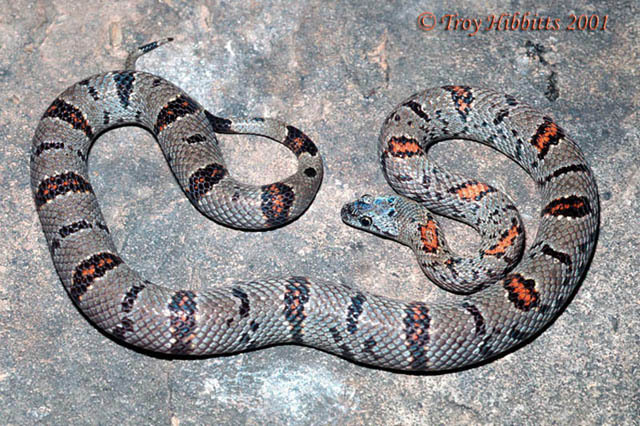 Several specimens of Lampropeltis alterna have been collected recently on US 90, 5 miles to the west of Alpine, near the Presidio County line. 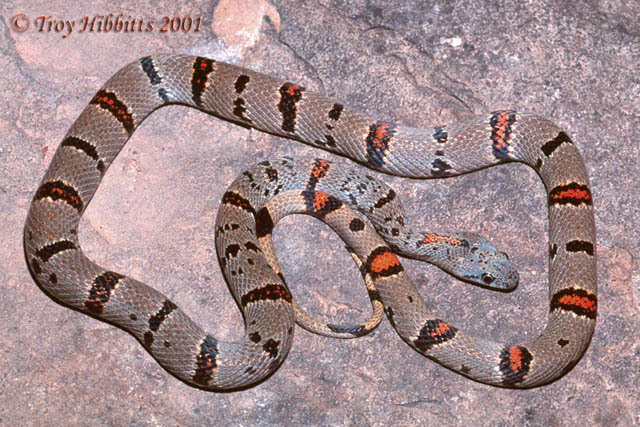 South on highway 118 from approximately 4 -22 miles, excellent habitat also exists. 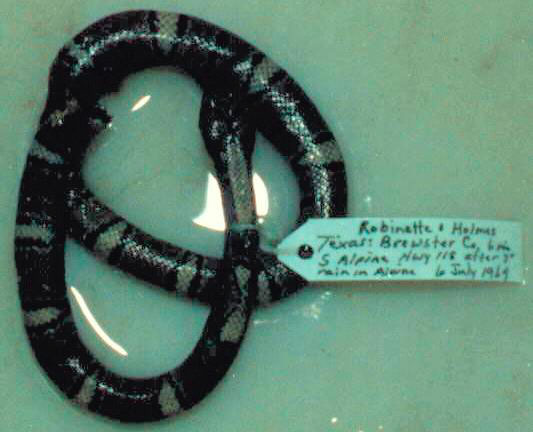 It should be noted that until recently, very few alterna were ever collected from any of these localities. 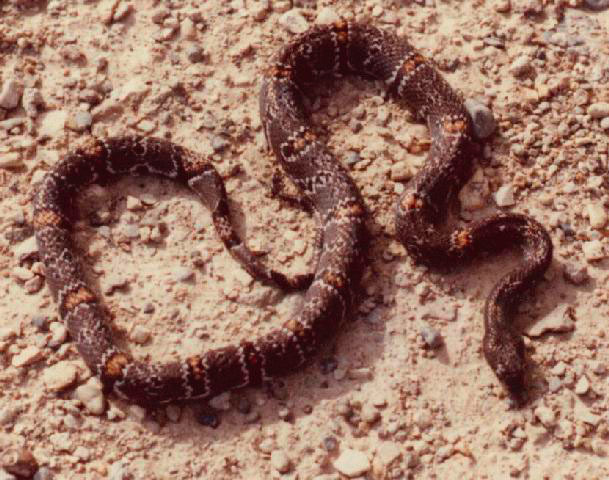 772.jpg - Robert W. Bryson Jr.
Also on highway 118, approximately 10 miles north of Study Butte, this locality is known for producing some of the most spectacular L.alterna ever captured. 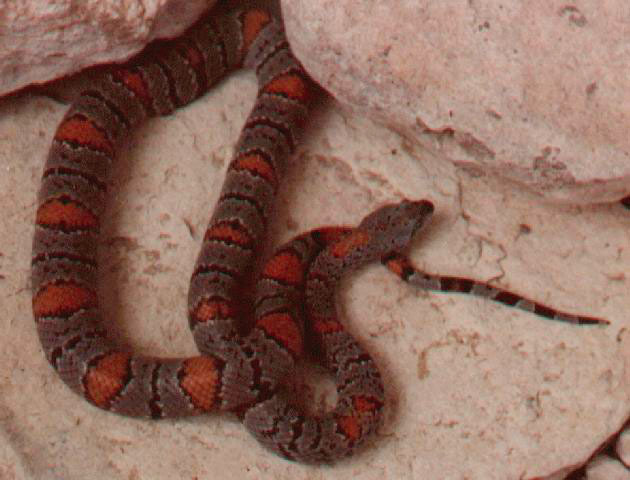 There is approximately two miles of accessible habitat over the Christmas Mountains but habitat extends to the south all the way in to Study Butte. 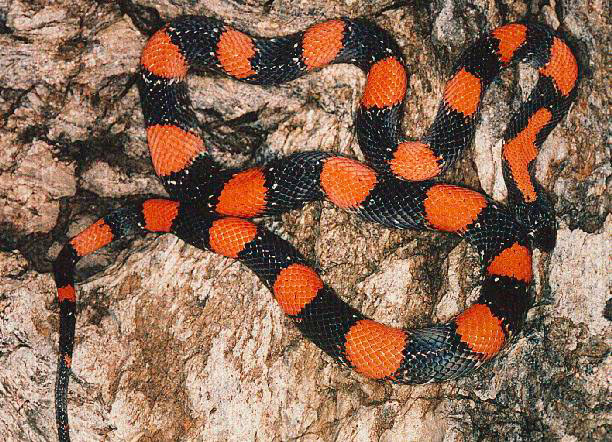 Specimens from this locality are extremely variable, but included are animals with jet black ground color and bright neon orange saddles. 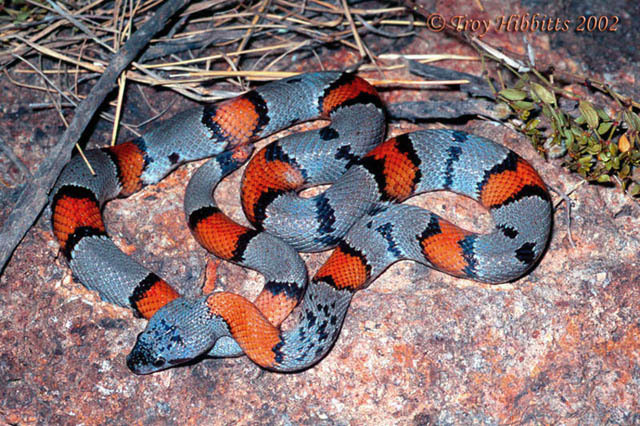 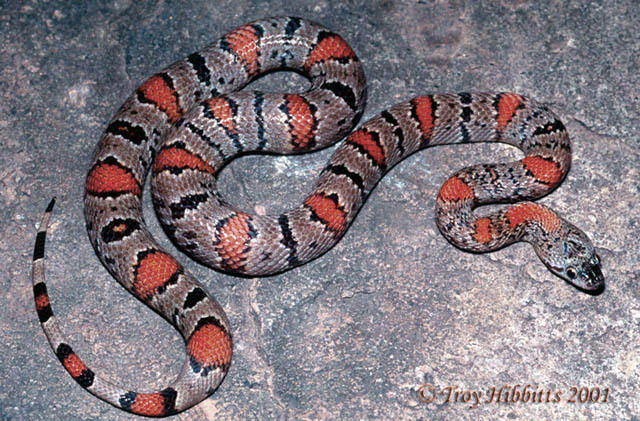 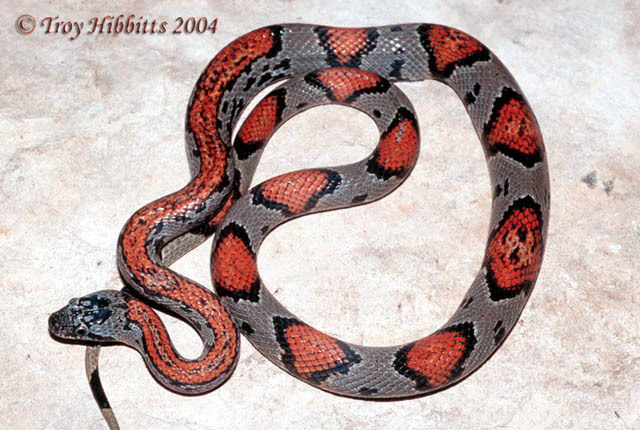 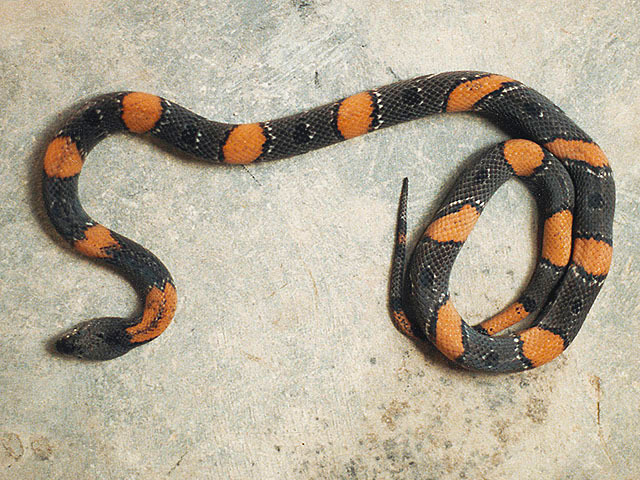 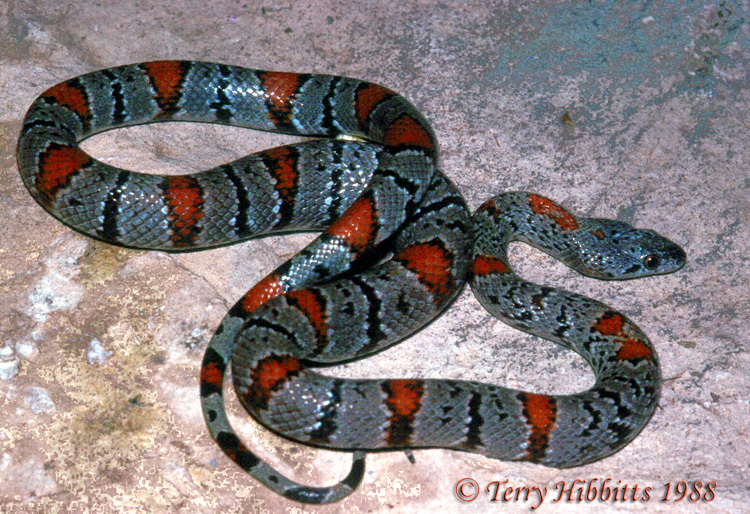 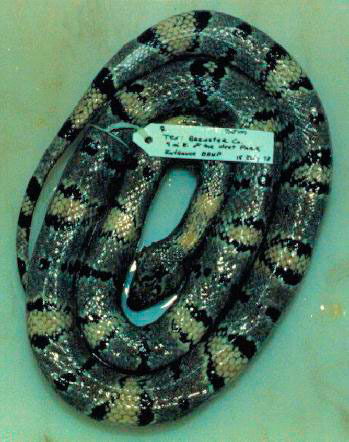 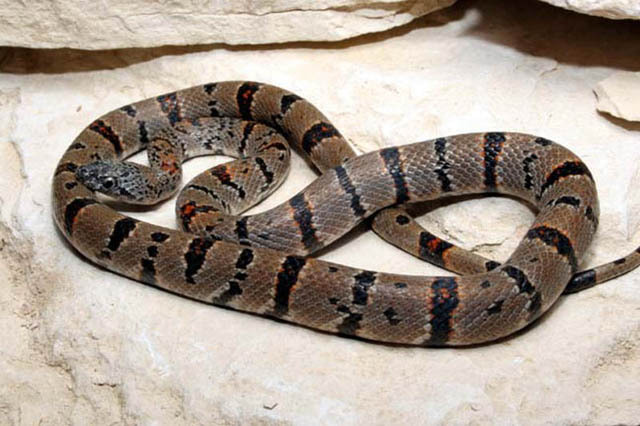 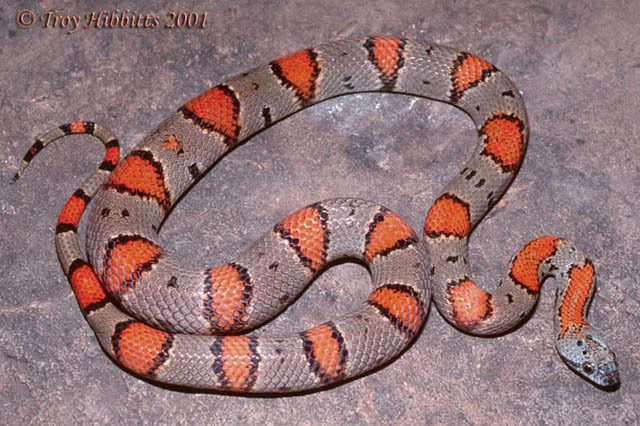 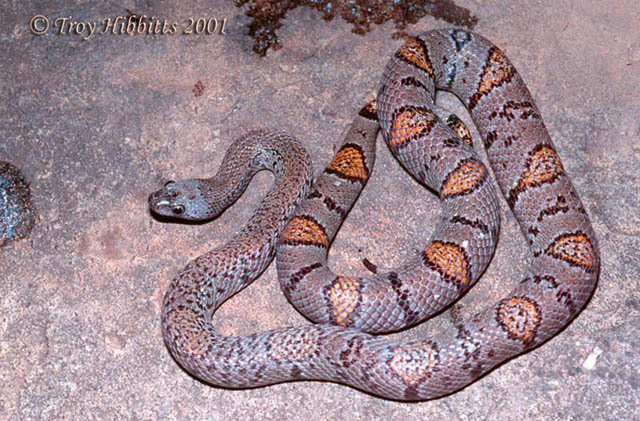 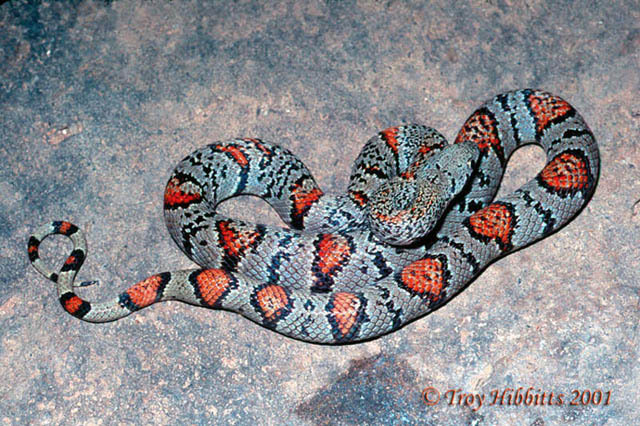 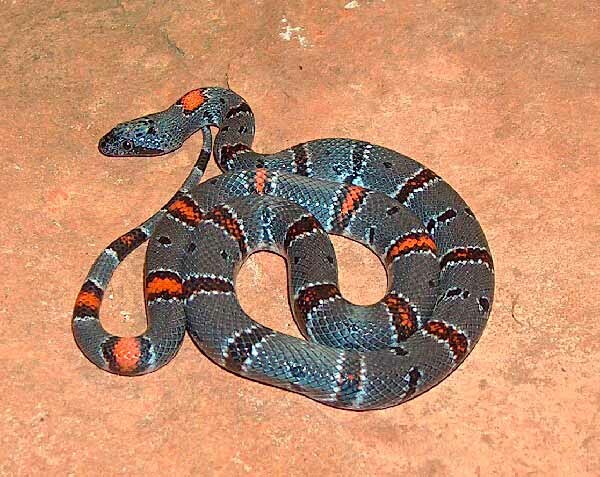 The chance to capture one of these rarities makes this a popular hunting ground for many seasoned herpetologists. 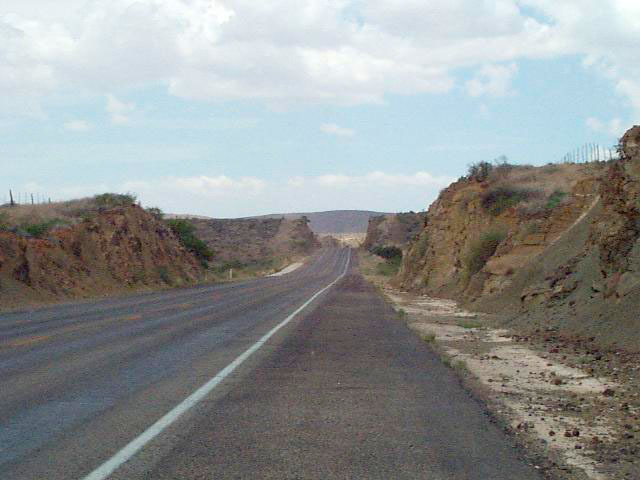 Traveling south from the Christmas Mountains on highway 118, the road forks at Study Butte. 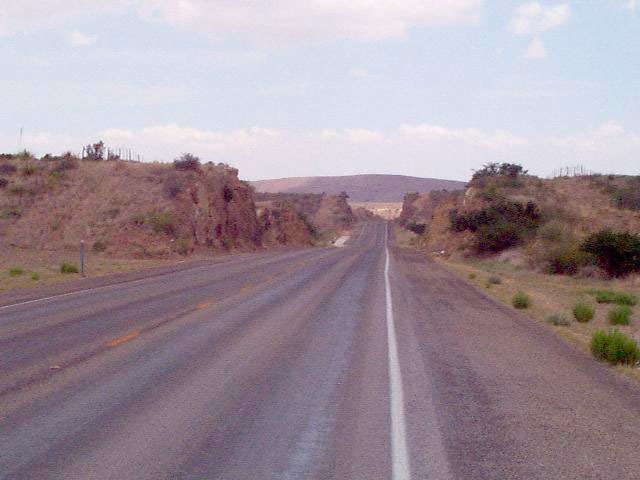 Follow to the right and merge with highway 170 towards Terlingua and then Lajitas. 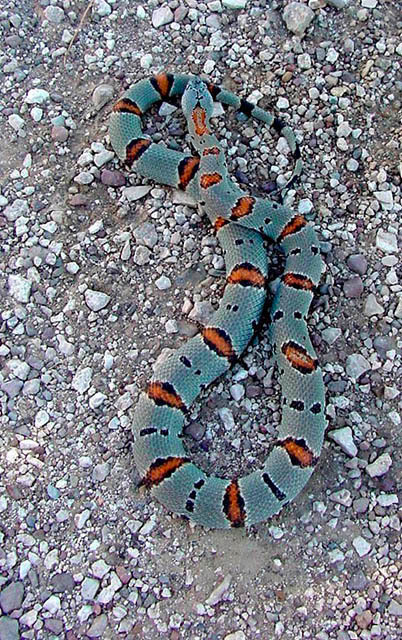 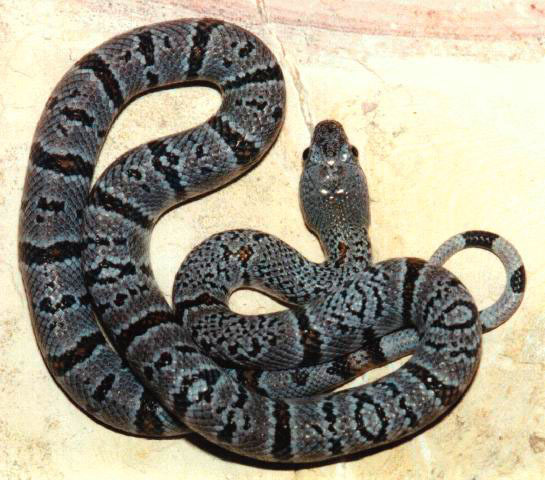 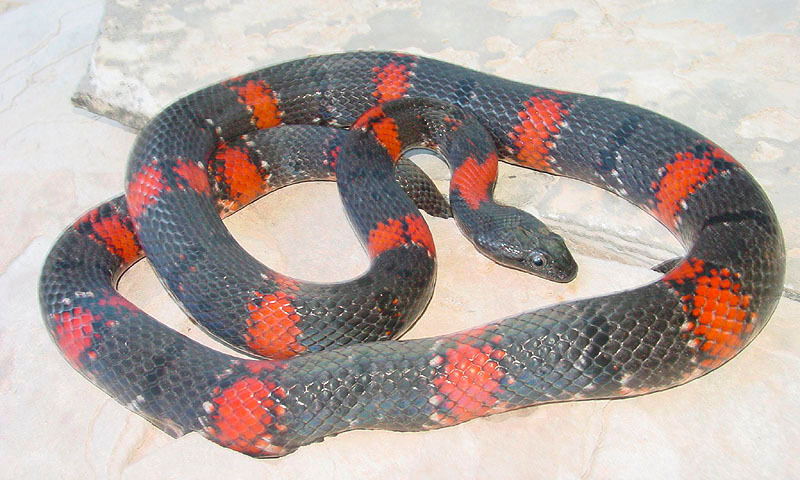 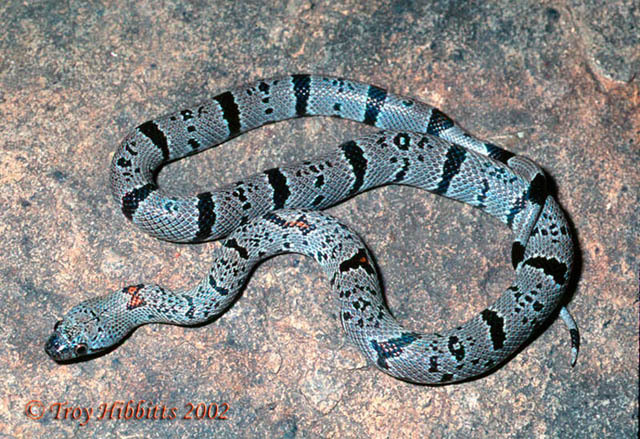 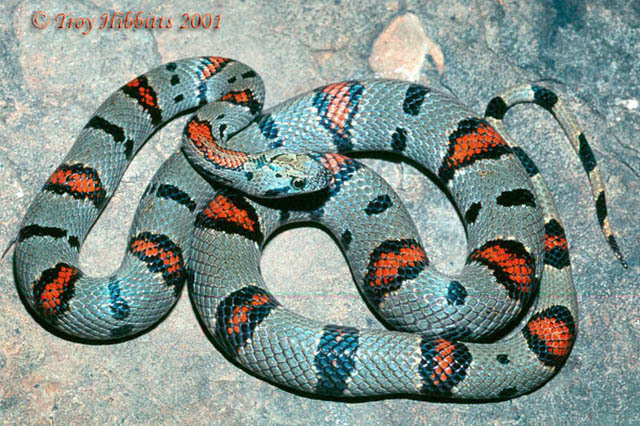 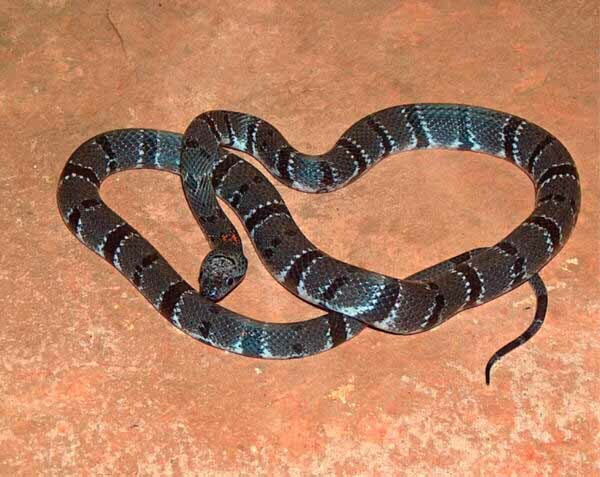 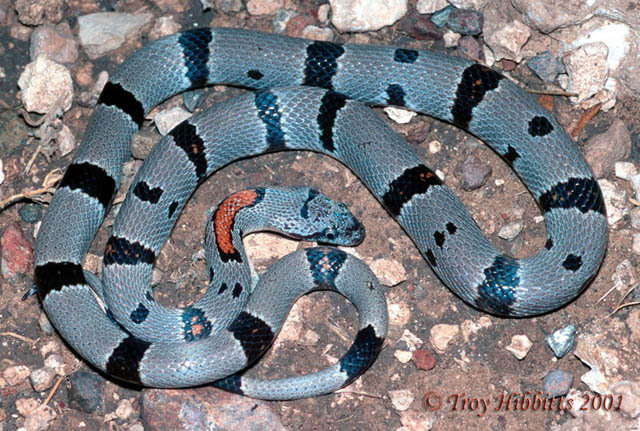 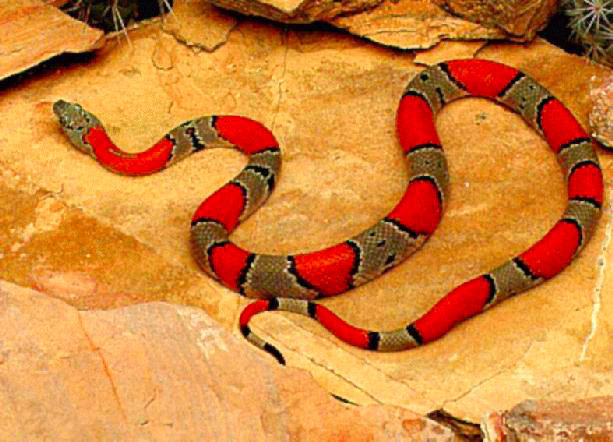 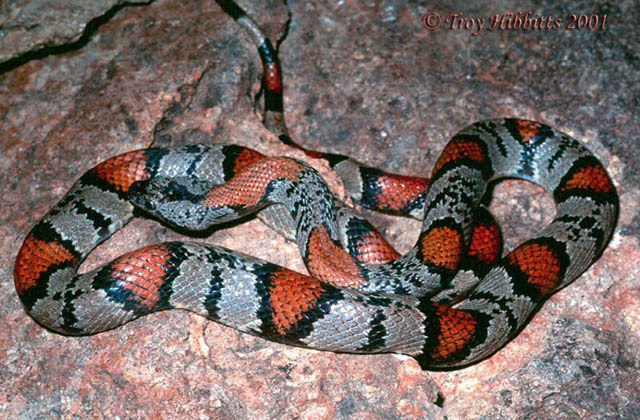 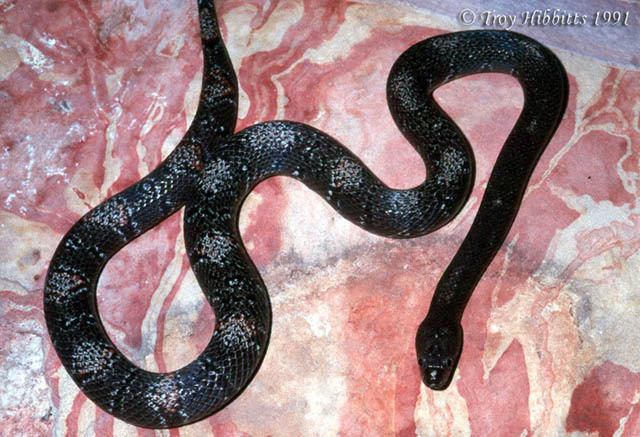 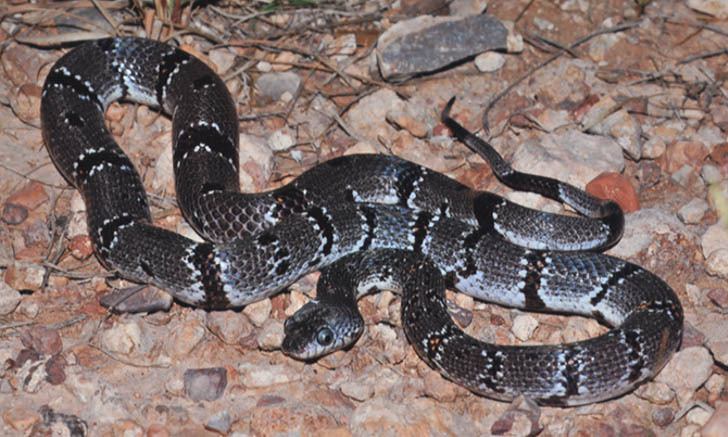 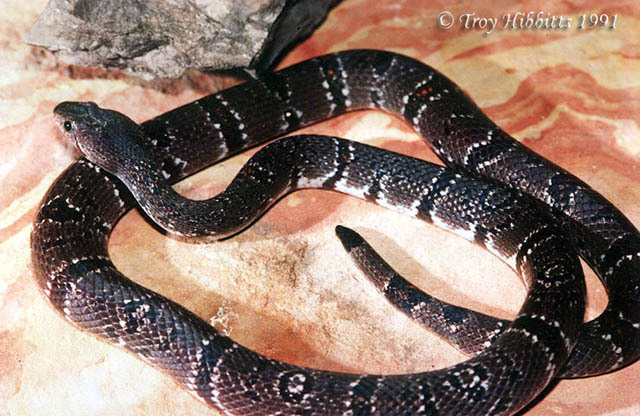 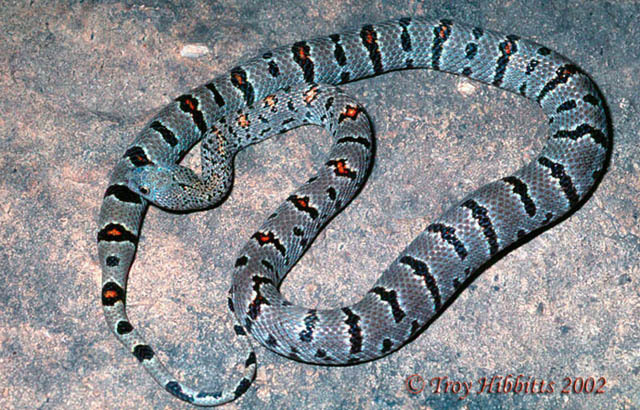 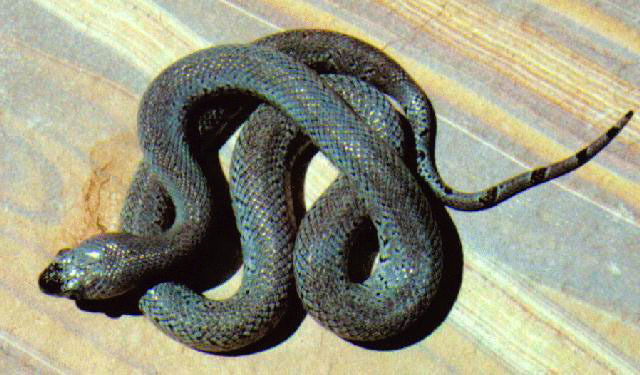 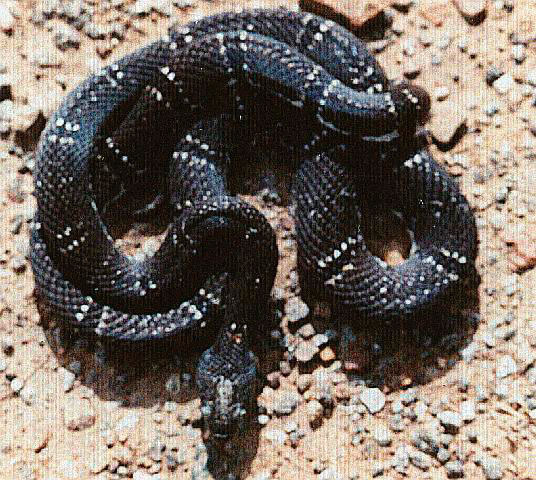 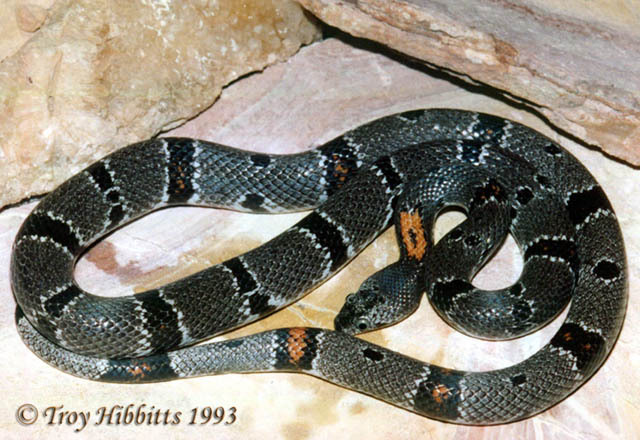 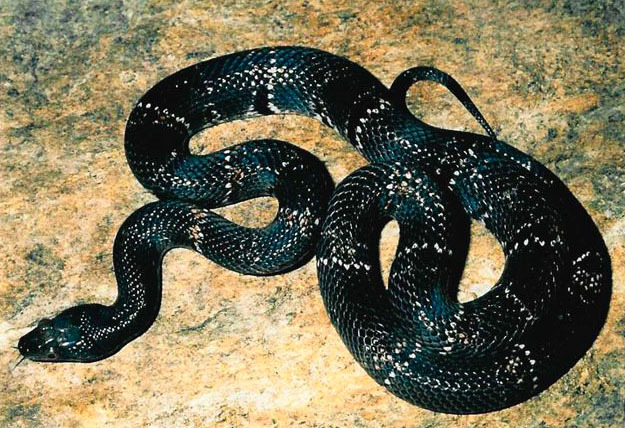 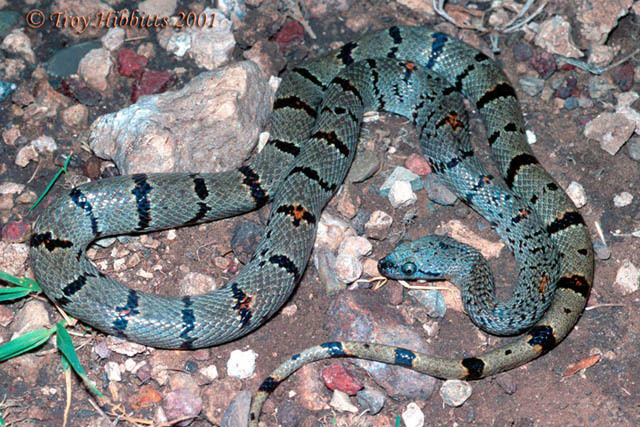 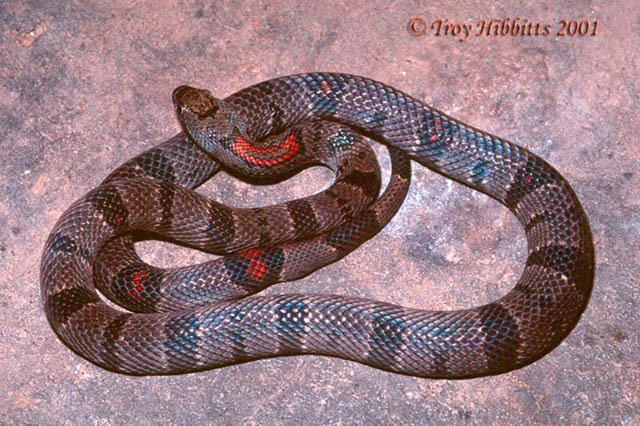 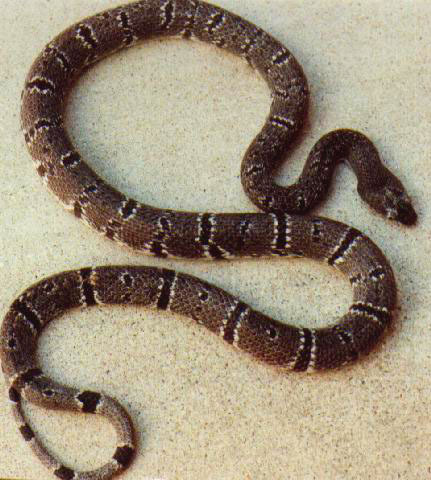 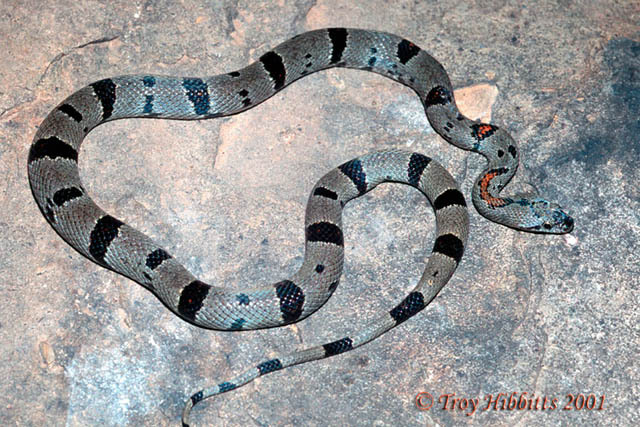 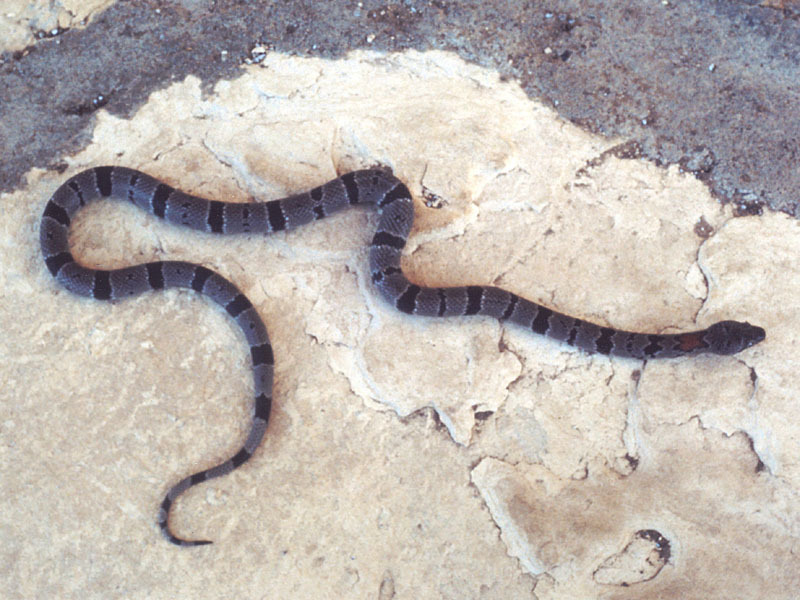 This strech of road has produced a small number of Lampropeltis alterna throughout the roughly 17 miles to Lajitas, with most being taken near Peppers Hill and right in Lajitas(although most animals known from Lajitas locales come from west of town in Presidio county). 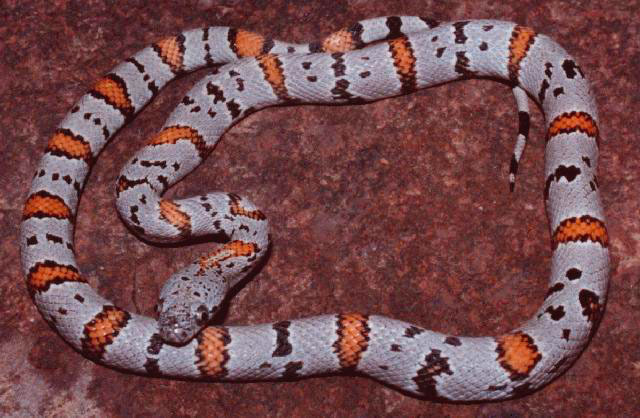 This section of highway 170 is also known as the only known place for collecting of the blond phase of the Trans-Pecos Ratsnake Bogertophus subocularis, but could produce alterna from most anywhere. 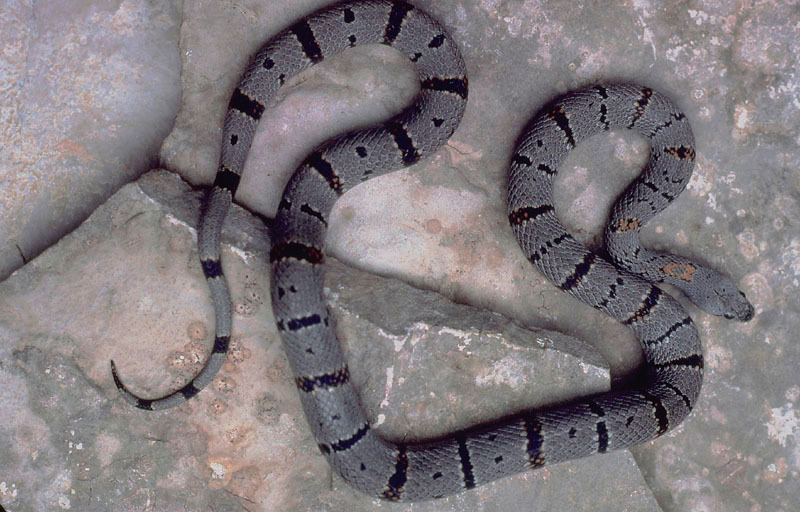 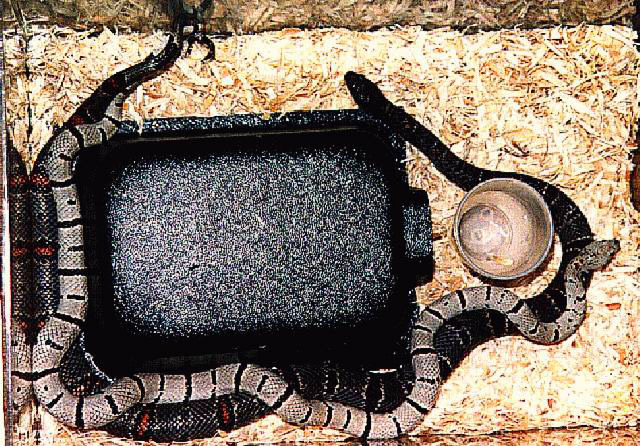 Another infamous locality for serious Lampropeltis alterna collectors, Farm to market 2627 has long been known for producing outrageous examples of greybands, dating back to the late sixties and early seventies. 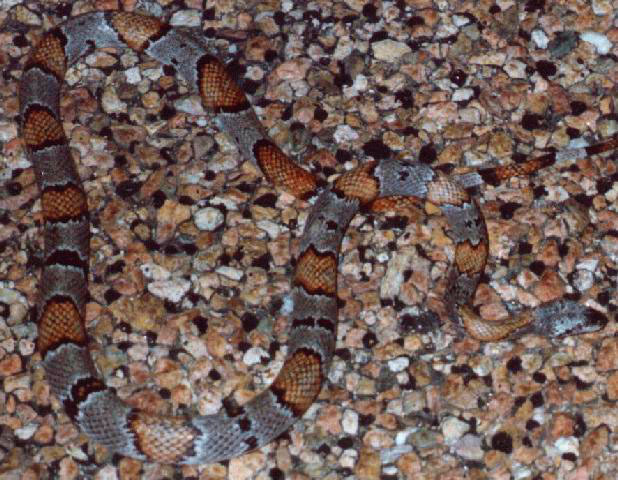 Collecting begins just a few miles in near Stillwells store and habitat extends all the way down to the crossing at La Linda. 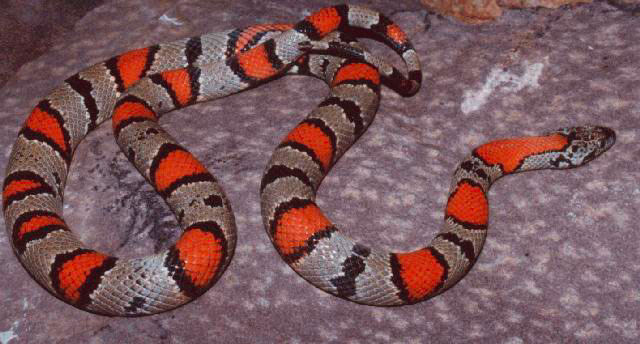 Although alterna are present here, they are by no means common. 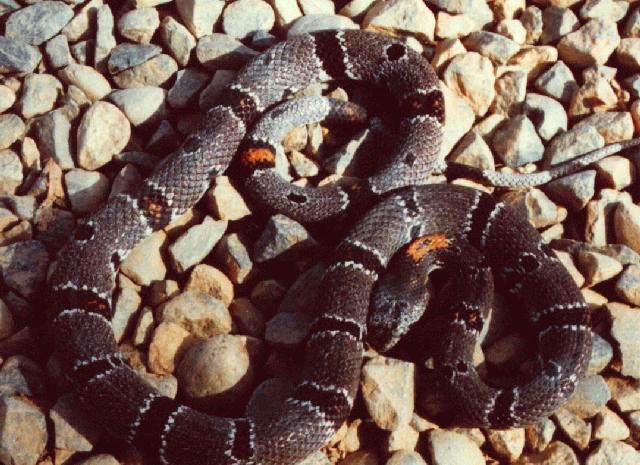 Also note that this road is encompassed by the Black Gap Wildlife Management Area, where you need a type II permit for collecting. 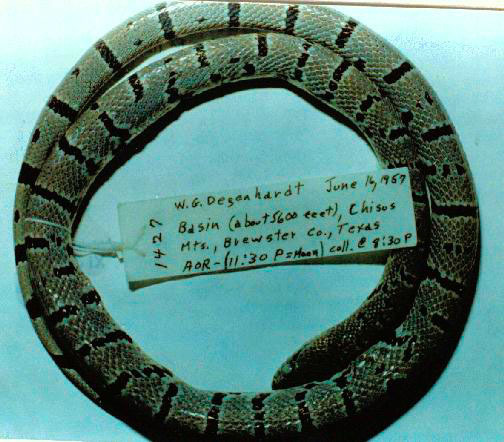 These can be obtained directly from Texas Parks and Wildlife. 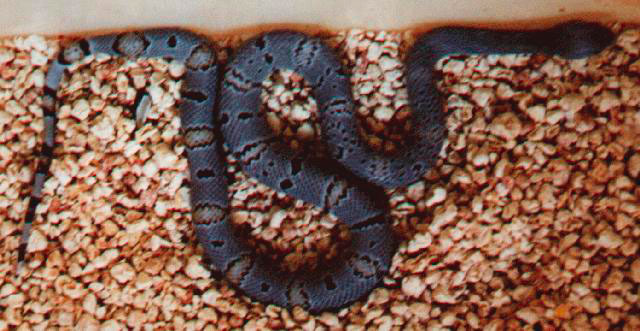 For more information on Black Gap take a look at Dan Johnson's Page. 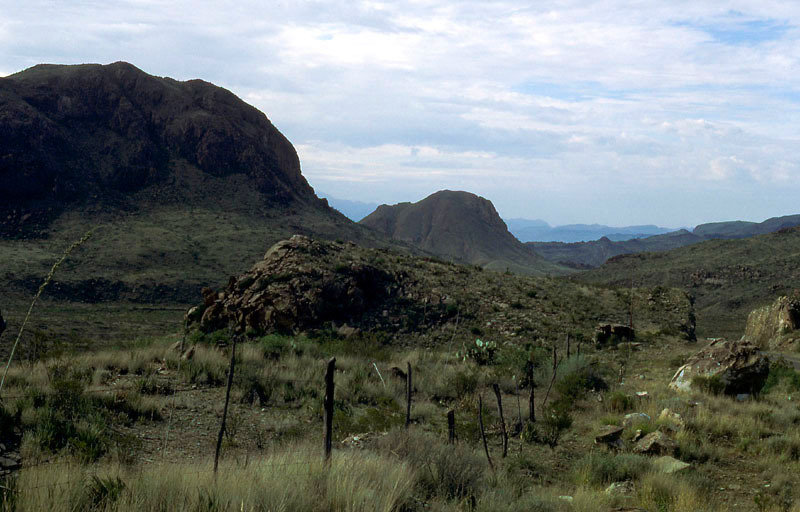 Just south of Marathon on highway 385 are several roadcuts belonging to the foothills of the Wood Hollow Mountain Range. 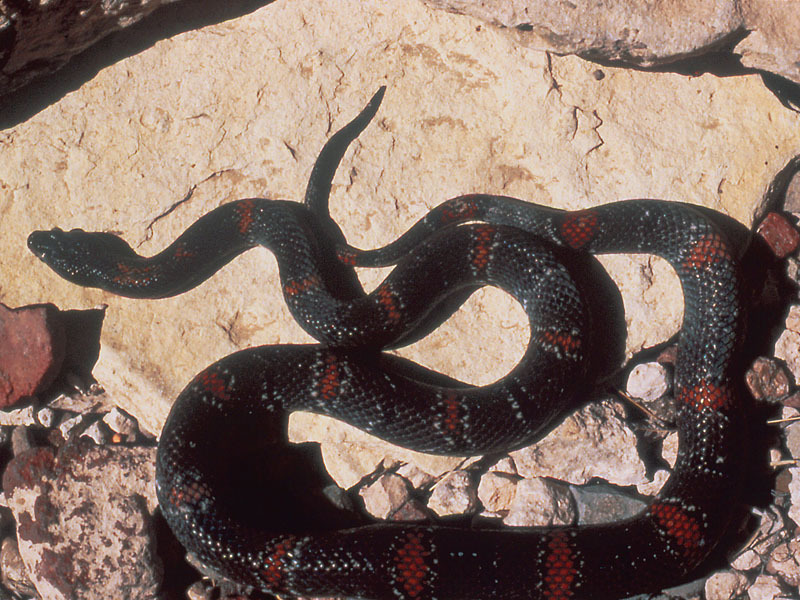 Lampropeltis alterna most likely inhabit these foothills, but to my knowledge none have been captured here.